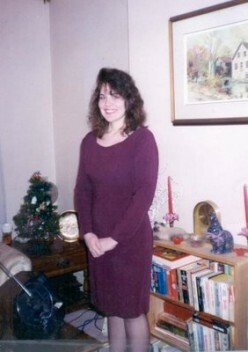 Susan is a published poet and short story writer currently working as a freelance writer. 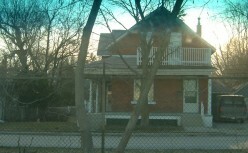 She was born in Montreal and now resides in Ontario, Canada with her husband, one of three sons and their Newfoundland dog. 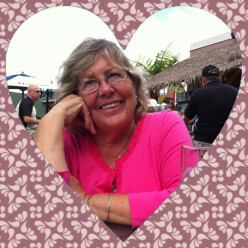 Susan's Hubs include food and cooking, poetry, travel, creative writing, healthy living, and others. 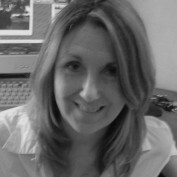 Since joining HubPages Susan has published her first book called "New In Town", which is available to download at amazon. Susan's first children's book "The Day Mr. Beaver Met a Moose" is available to purchase at amazon.com. All proceeds of her book will be donated to Ronald McDonald House charities. A poem that tells a story about a wee leprechaun. 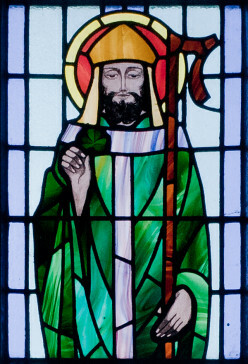 History of this day along with three delicious drink recipes for Irish whiskey and Irish mist. 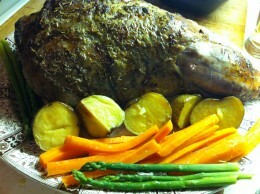 A delicious recipe that is easy to follow for a garlicky marinated leg of lamb dinner. 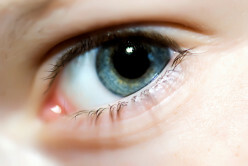 Photo tutorials are included with this recipe. So you want to get a dog. 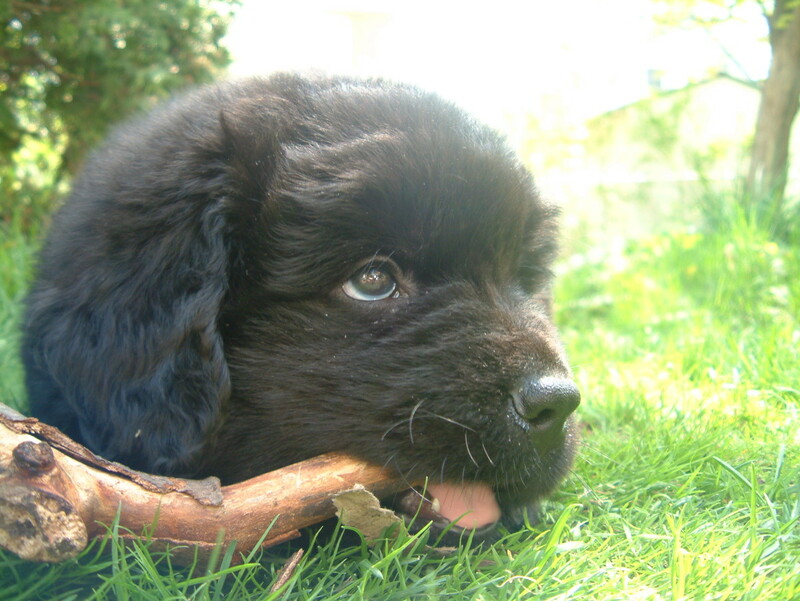 Here is a list of some of the things you may want to consider before running out to get that cute little puppy. 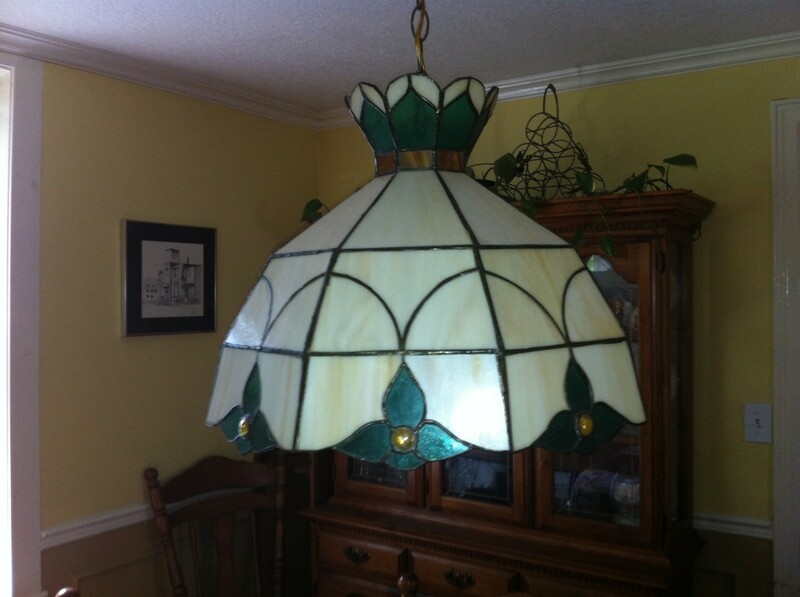 The basic tools needed to begin stained glass as a hobby along with a few health tips to know when working with lead. Find out how to correct biting, chewing, jumping, rough play, begging, barking, and digging when your dog has behavioral problems. 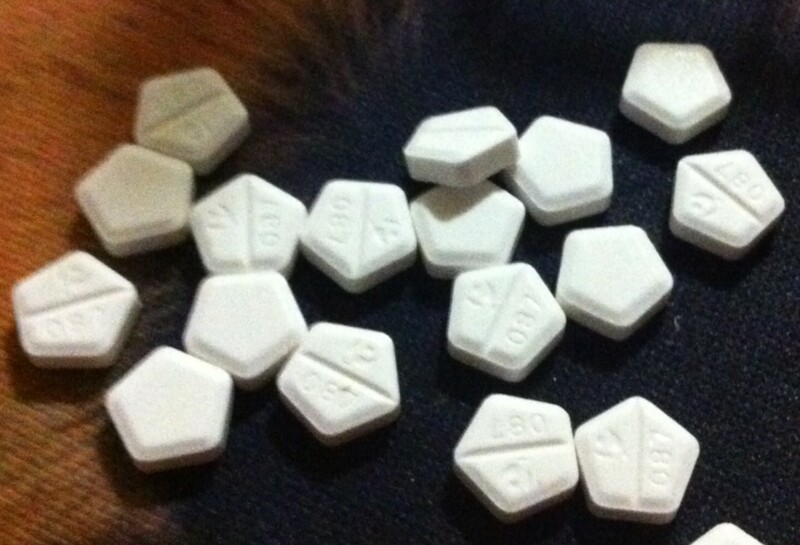 Can Taking Dexamethasone Lead to Depression? Not all drugs or treatments effect people the same way. In this case, taking dexamethasone as part of my chemo treatment led to symptoms of depression. Most people participate in Polar Bear Dips for charities, however there are others that do it simply for fun. Read all about the history and frigid temperatures that people endure in icy waters. How exciting it is to be moving into your first place, but it can also a bit overwhelming trying to think of all the things you'll need. Hopefully this article will help make the transition easier. A low carb, gluten free easy to follow step by step recipe for moist and juicy chicken that is baked in the oven. Included is a recipe for a walnut spring mix cabbage salad. 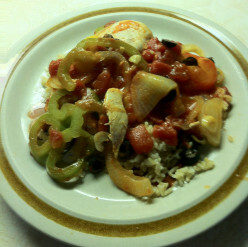 An easy to follow adaptable recipe that can be served over rice or served on its own. Includes a photo tutorial. 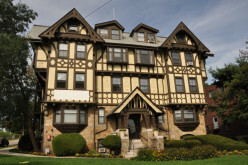 Helpful tips and startling videos about private home daycare's. Snowmobile Water Crossing - Sport or Insanity? 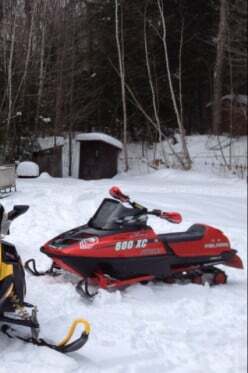 See how this guy gets his kicks from driving his machine over open water during a very cold winter season. 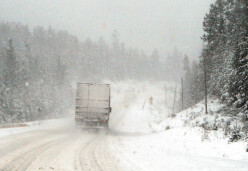 Videos included along with snowmobile safety tips. 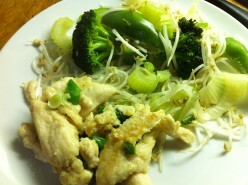 A very easy healthy recipe to follow using boneless chicken breasts and lemongrass paste. Complete with photo instructions and a veggie stir fry recipe. 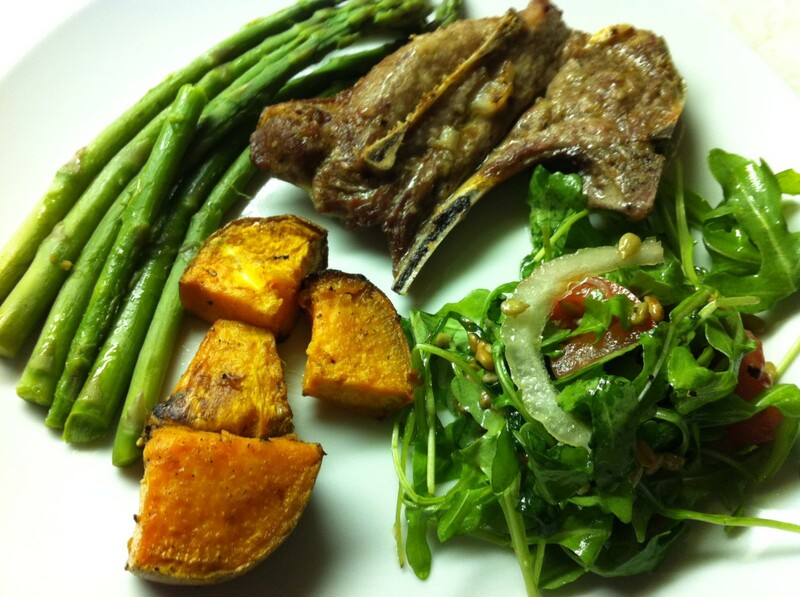 A broiled lamb dinner recipe complete with asparagus, roasted sweet potatoes, and an arugula salad. 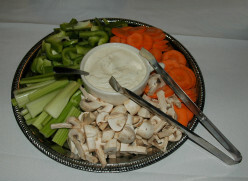 Impress your family and/or guests with this deliciously mouthwatering meal. 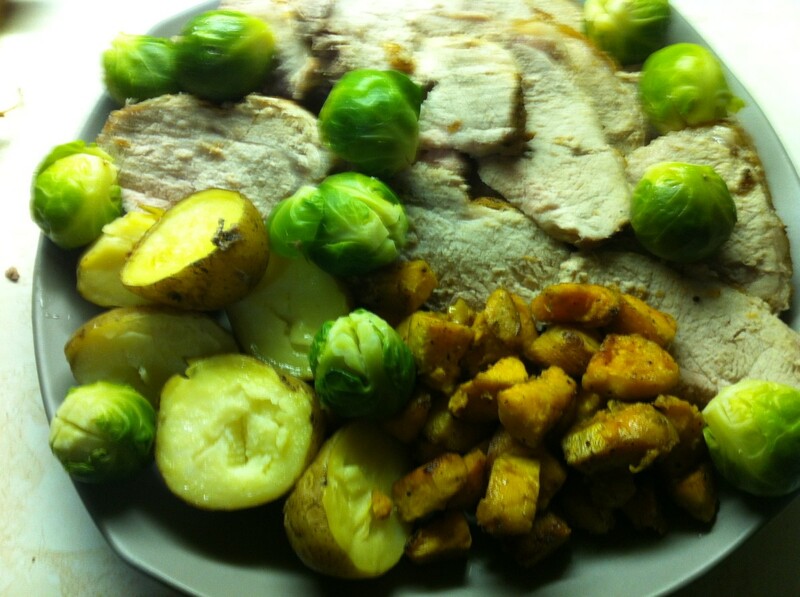 A complete meal with easy to follow recipes that include sugar free applesauce and fresh Brussels sprouts. Photo instructions included. A tasty healthy stir fry that will satisfy all garlic lovers. Juicy, moist chicken that has been marinated and guaranteed to delight your taste buds. Easy step by step instructions along with photos. 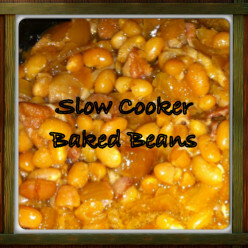 Easy to follow recipe with complete instructions and photos for crock pot or slow cooker baked beans. 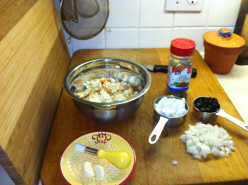 A step-by-step recipe with pictures for making a one-pot meal that includes cabbage, carrots, potatoes, and onions. Four fast and easy dip recipes that include a veggie dip, spinach dip, smoked salmon, and a spicy hot Chipotle dip. 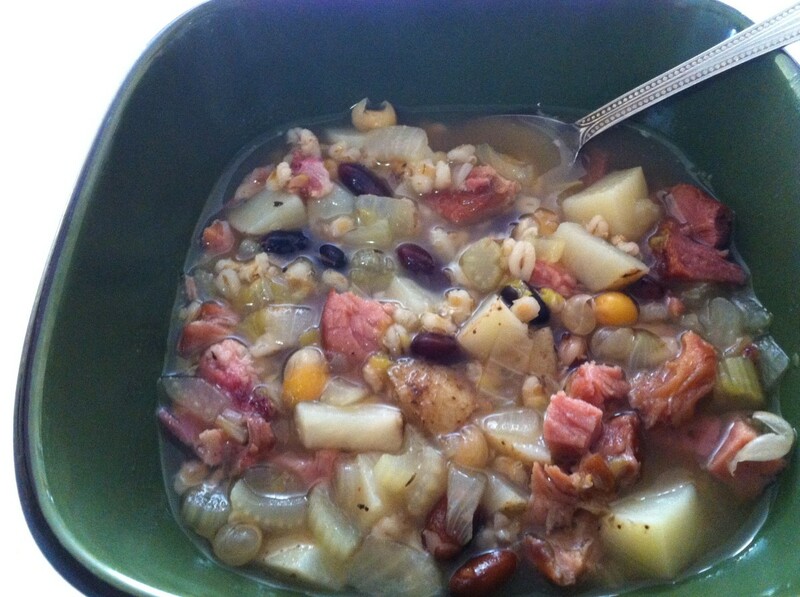 There's nothing like a delicious homemade soup on a cold day to warm you up. This easy-to-follow recipe is one of my favorites--and everyone else loves it too! 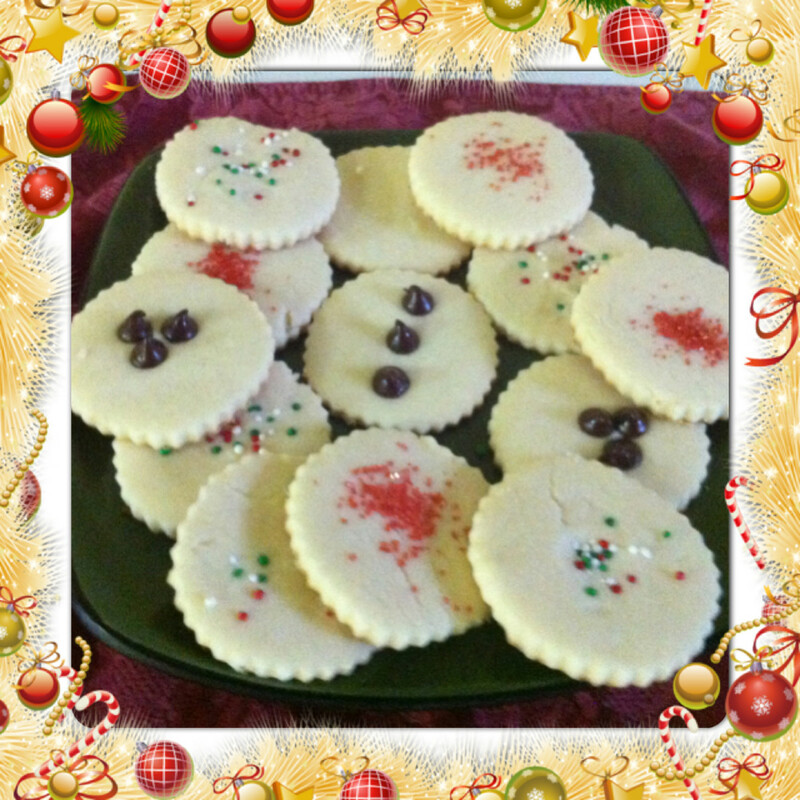 For the sweet tooth in your family, two easy to make recipes with photo instructions. Chocolate coconut macaroon cookies that melt in your mouth along with chocolate peanut butter fudge that tastes like Reese's Peanut Butter Cups. 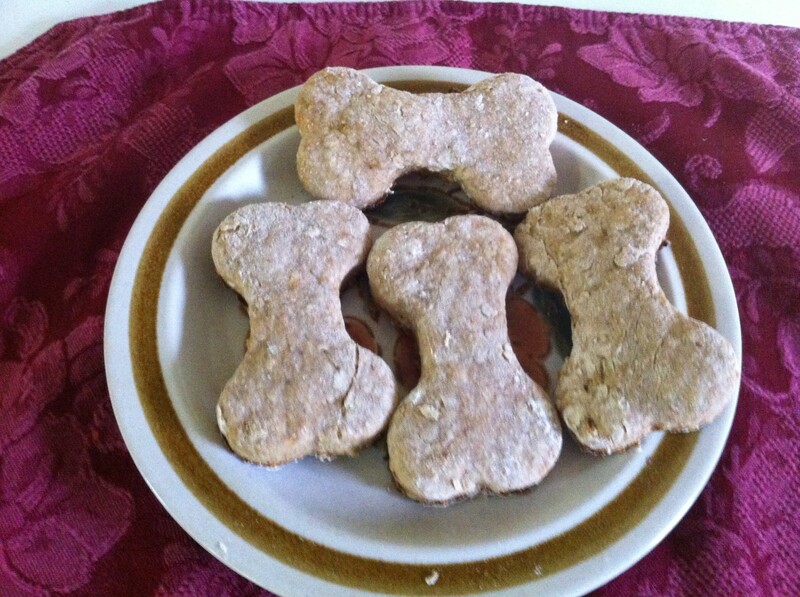 Save yourself some money and bake your own dog cookies. My dogs say "woof" to these delicious cookies. A step by step easy to follow recipe including photo instructions for delicious homemade coconut macaroons with a hint of chocolate. 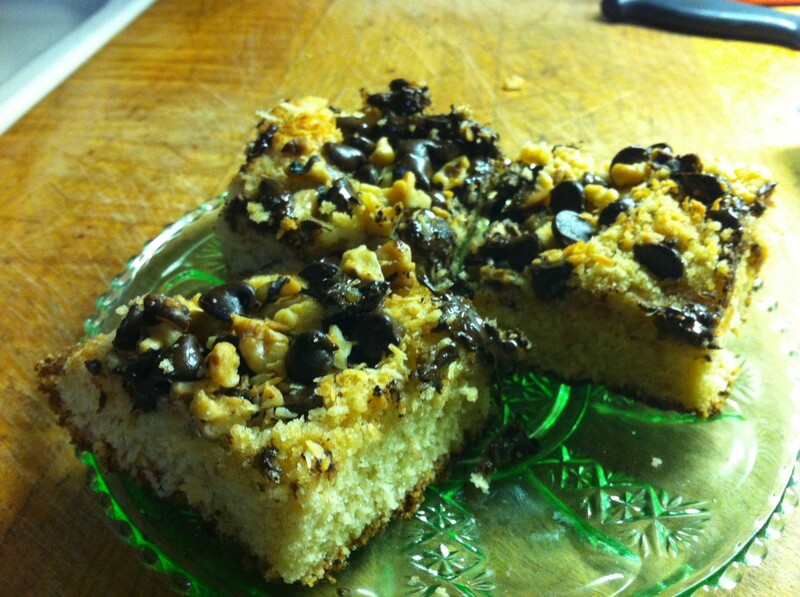 Two recipes for delicious dessert bars to serve company or as a special treat to have anytime. 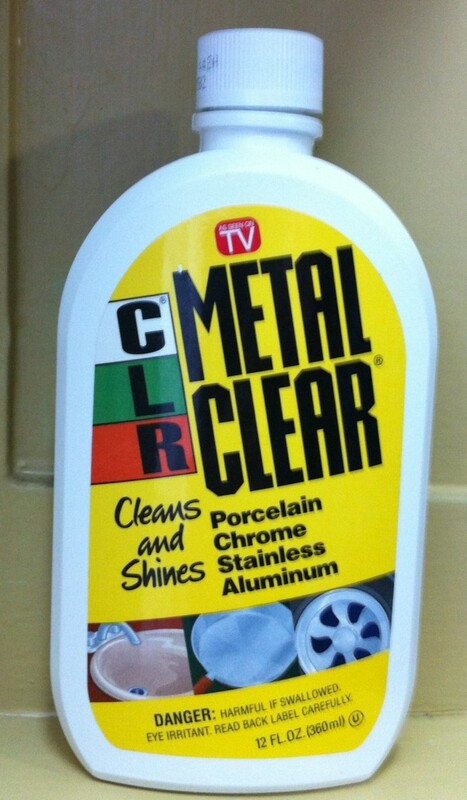 Do you have stainless steel or aluminum pots that no matter how hard you scrub, you cannot get them clean and shiny again? I will show you how you can with easy instructions and photos. 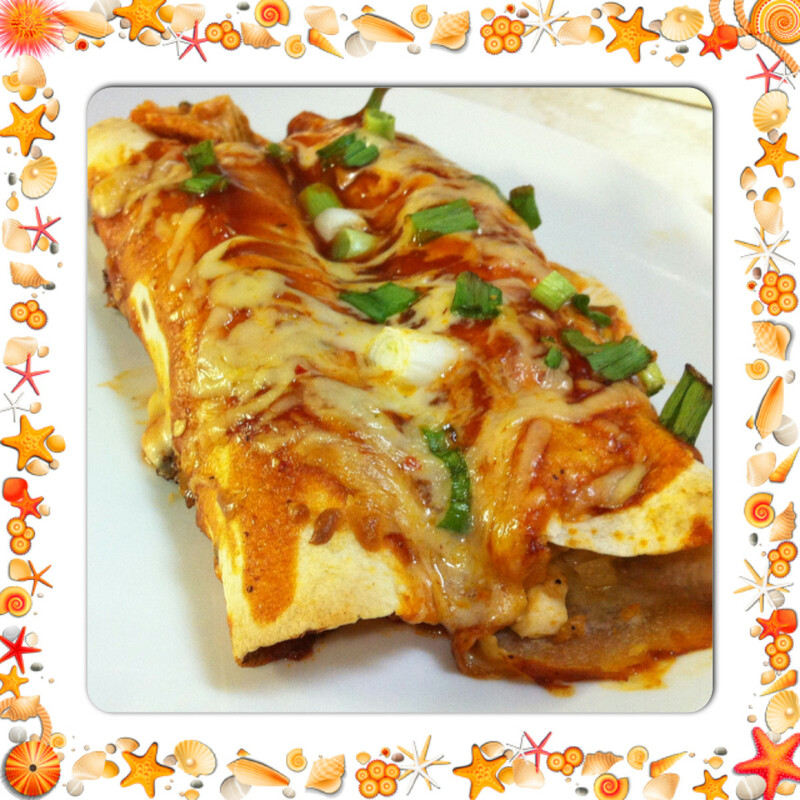 An easy to follow recipe with complete instructions and pictures for chicken enchiladas. 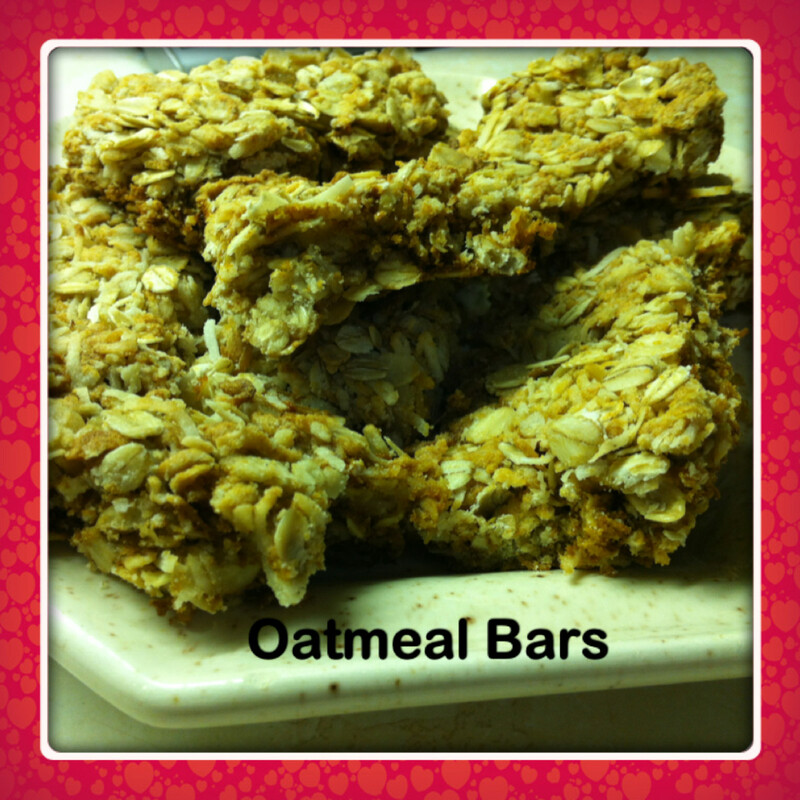 Homemade oatmeal bars that taste similar to Nature Valley Crunchy granola bars but much better. 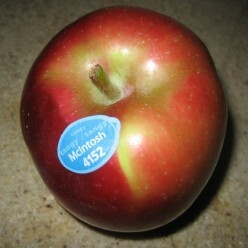 Perfect to add to your child's lunch, have as a snack or dessert. 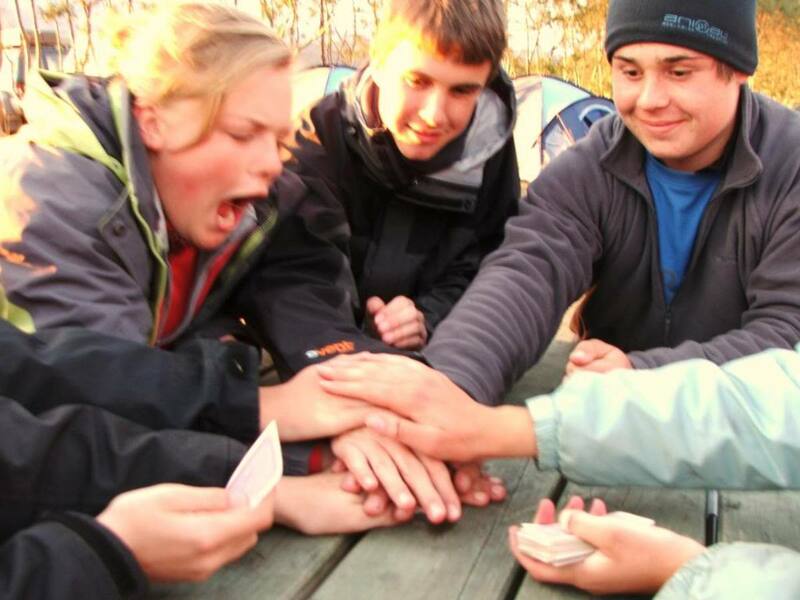 Games to play while you are traveling or when you or your children are looking for something fun to do to keep you occupied. 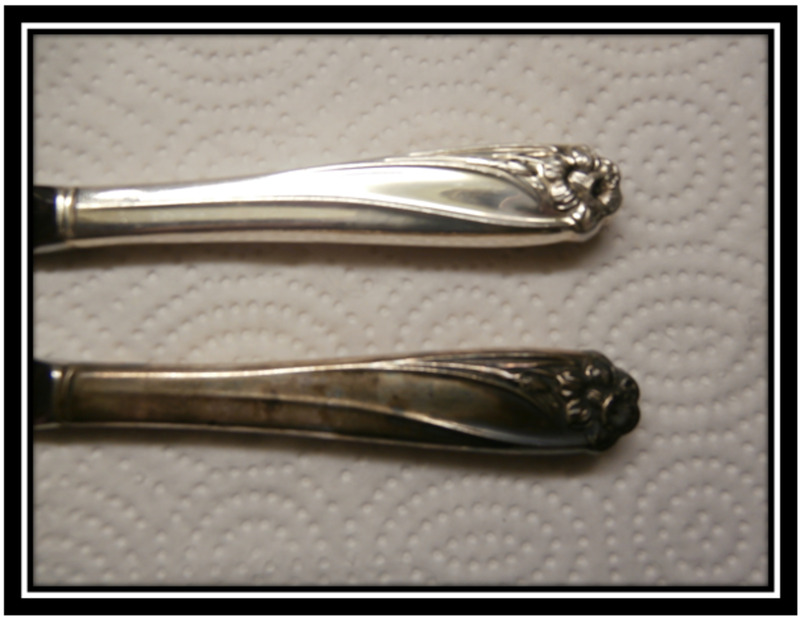 Not using your silver or your silver flatware because it is tarnished and too hard to clean? With Tarn-X, it can look shiny and brand new within minutes. 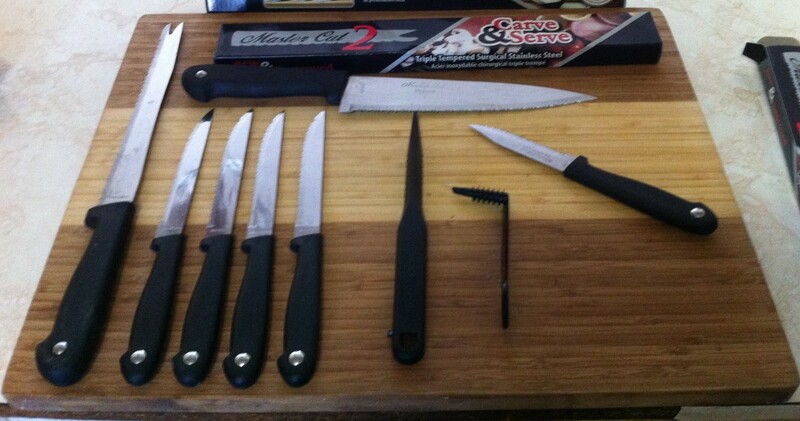 See how easily I cleaned my 55-year-old utensils. 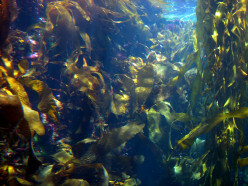 Kelp has many health benefits, is nutritious, and is full of vitamins and minerals. 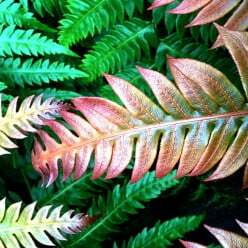 Can be fed to animals and used in your garden. Three easy and fast side dish recipes to go along with any meat entree. Fried mushrooms and onions, Cajun fried shrimp and roasted ranch potatoes. 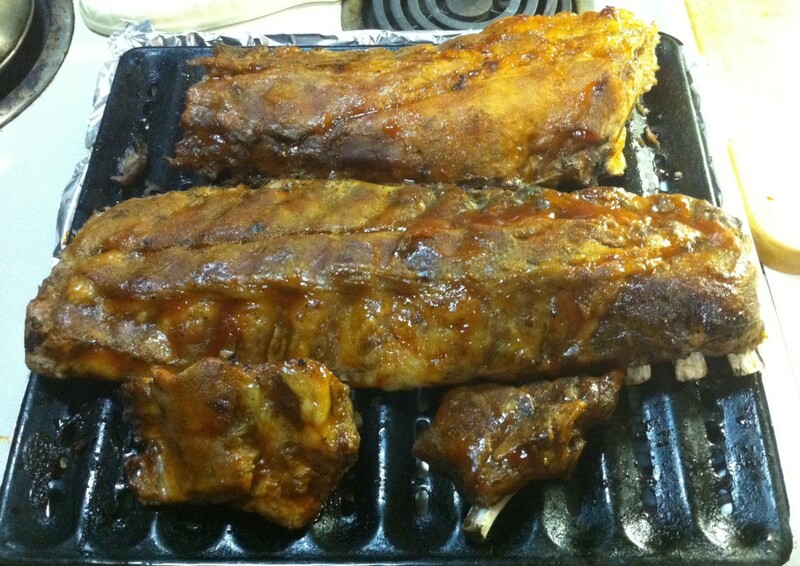 Delicious homemade ribs made with VH Strong Garlic cooking sauce. Two-ingredient recipe complete with easy to follow instructions. Pictures included. 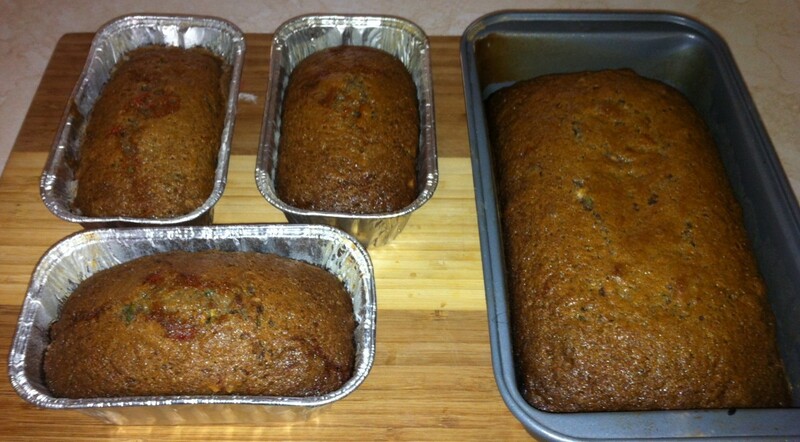 An easy to follow recipe for chocolate pecan cherry zucchini bread. 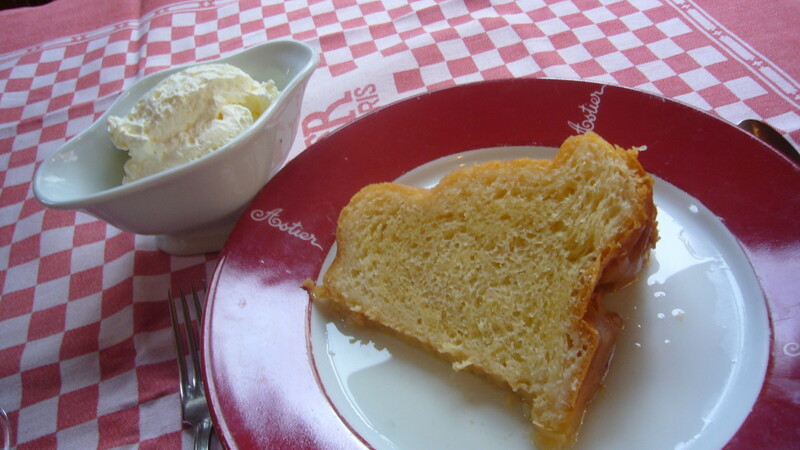 A delicious moist dessert bread to serve and enjoy or to take along to a family gathering. Thinking that I had to go out and purchase a new coffee maker, I found using CLR to clean the machine totally revived it. 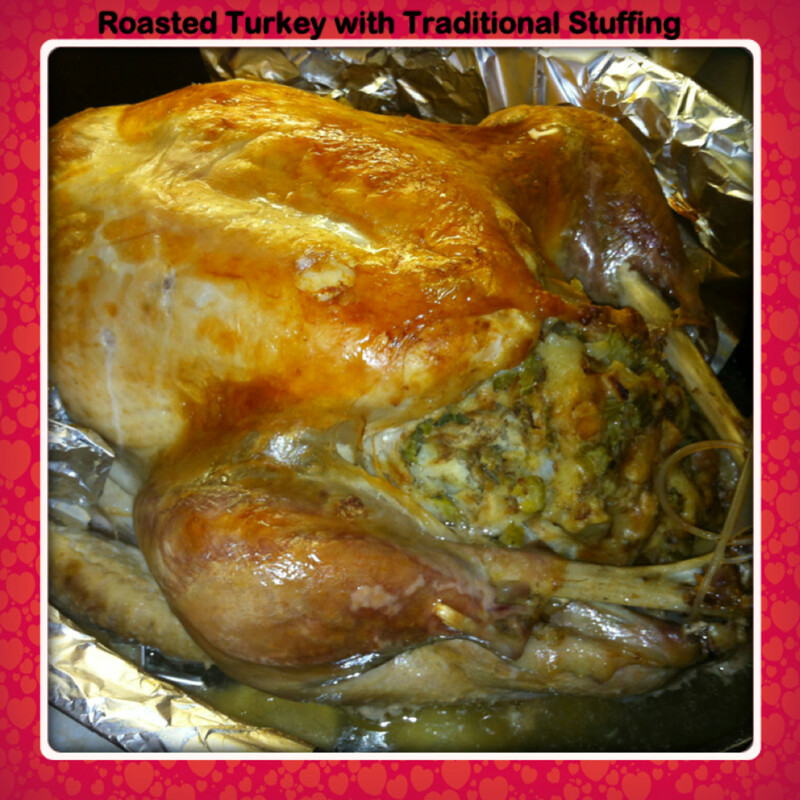 An easy to follow traditional stuffing recipe with step-by-step instructions and photos. Create beautiful fruit and vegetable trays, fruit baskets, and more with three easy-to-use tools. Transform vegetables into artistic masterpieces that will impress family and guests. 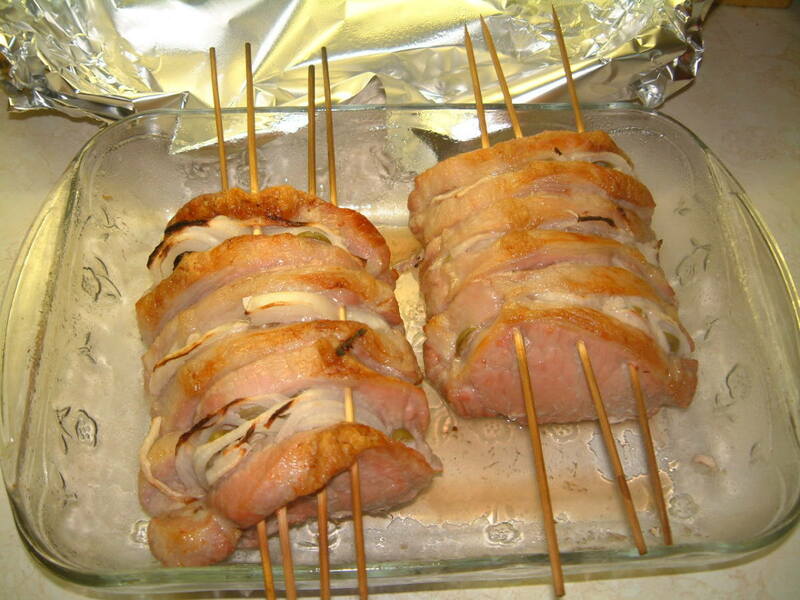 Chicken breasts stuffed with garlic, green onions and butter. 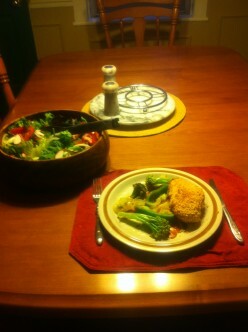 A low calorie meal served with healthy stir fry veggies and a baby spinach salad. If you don't like to make butter tarts but love them, this recipe is a very easy alternative. 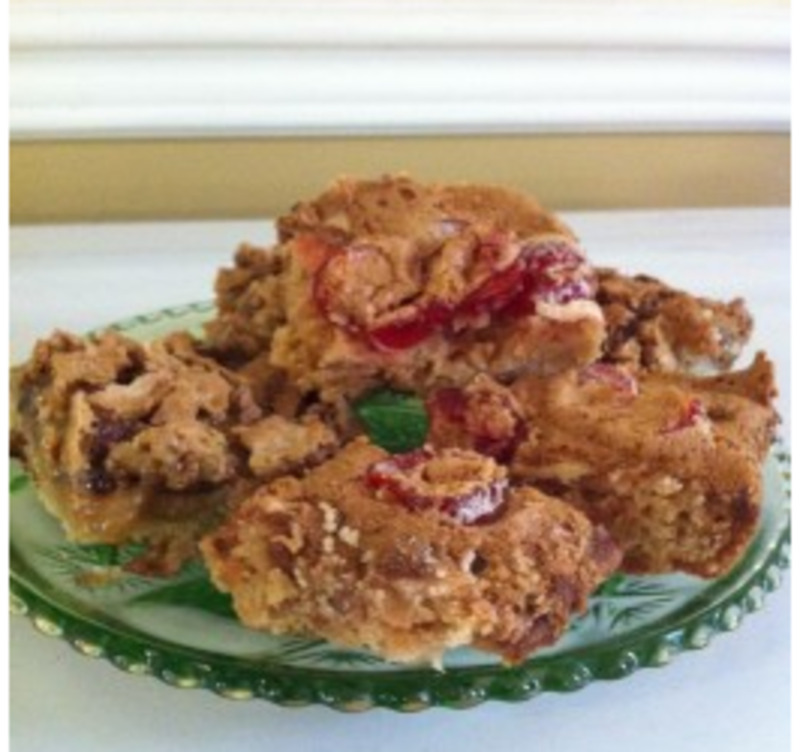 Included is a tasty cherry recipe for the holidays or anytime of year. 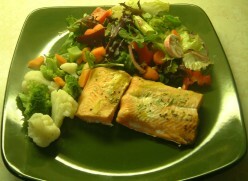 Both recipes are simple to follow and includes step by step pictures. 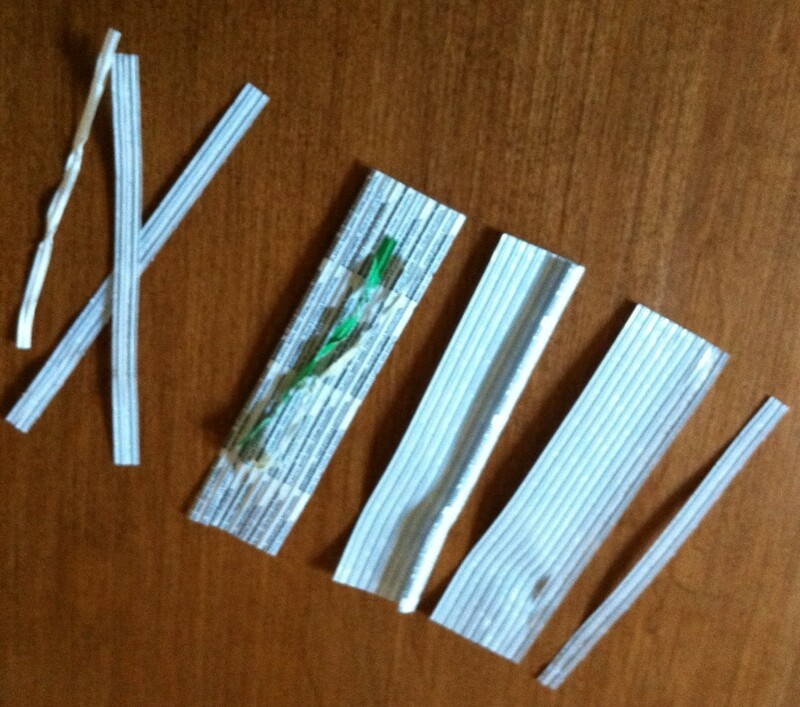 Don't throw those twist ties away, they may come in very useful and handy in many different ways. 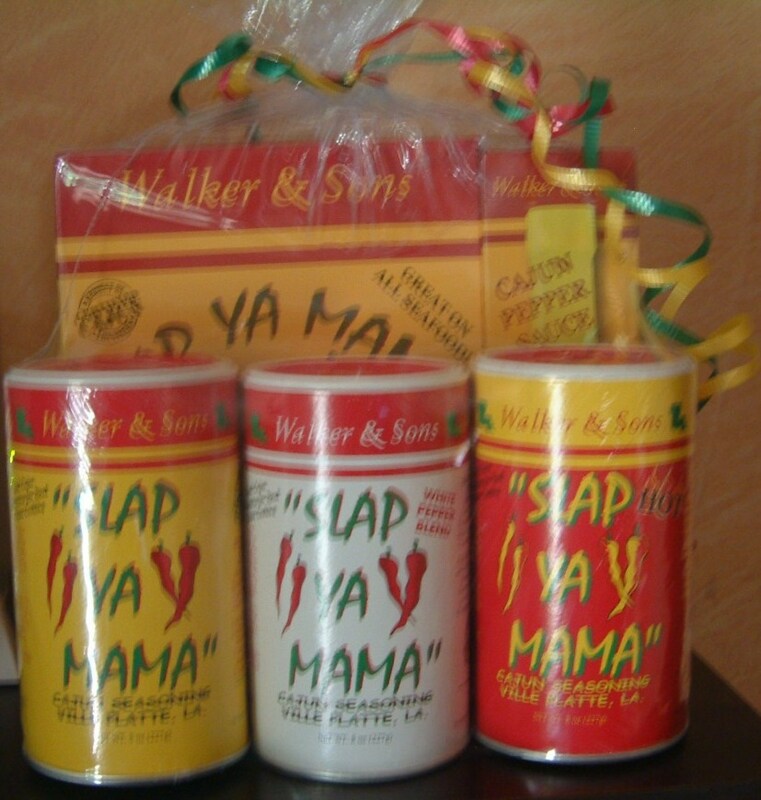 For uses in the kitchen, outdoors and even for birthday parties. Smoking is hazardous to your eyes. 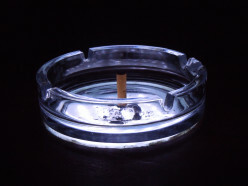 It is never to late to quit.Smoking can cause damage to the optic nerve, cataracts and more. Delicious chicken breasts stuffed with black olives, feta cheese, and wrapped in Prosciutto ham. Easy to follow recipe including a how to video. From fridge to table in less than an hour. Got the munchies? 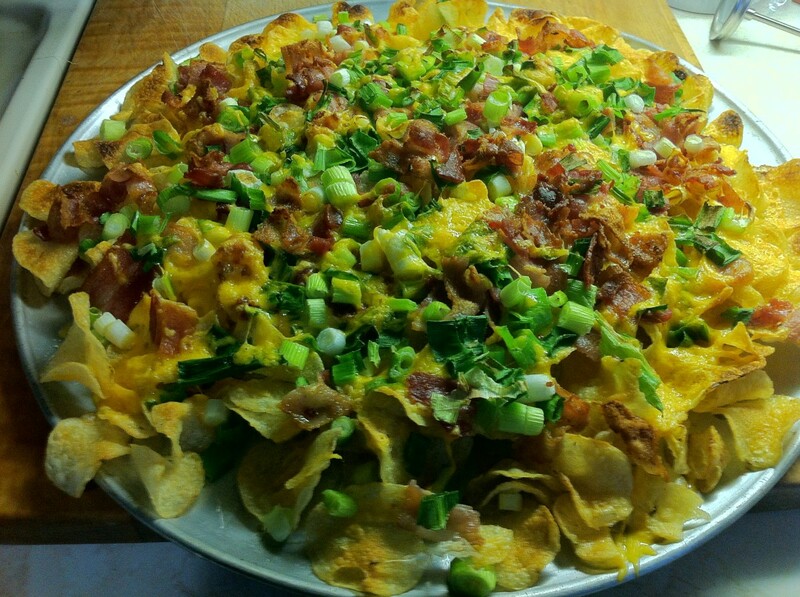 Try these Nachos made with potato chips and bacon. Serve this tasty snack the next time you have the gang over for a visit or as an appetizer at your next casual dinner party or for Super Bowl Sunday. Easy to follow recipe for onions stuffed with garlic, drizzled with olive oil and baked in tin foil. 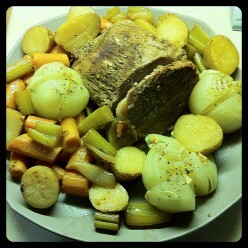 Served along side an oven baked pot roast with veggies. 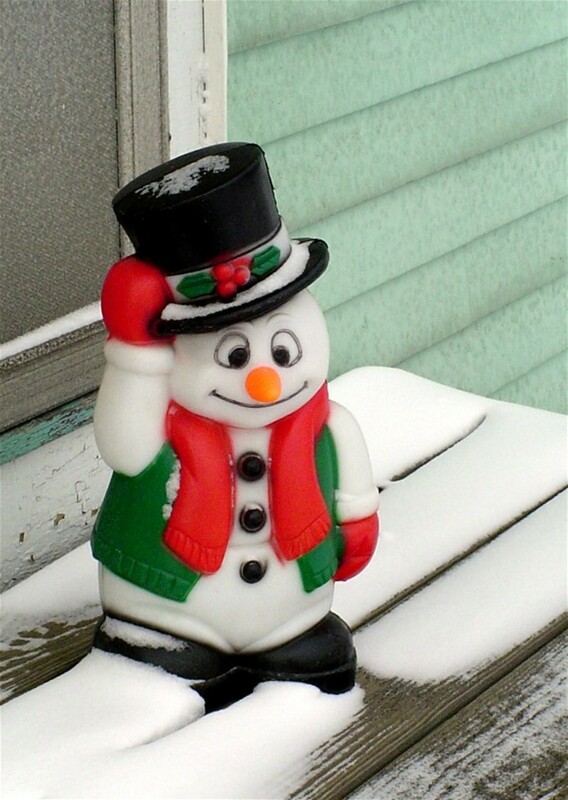 When was Frosty first written and how did he come about? Need dessert ideas? 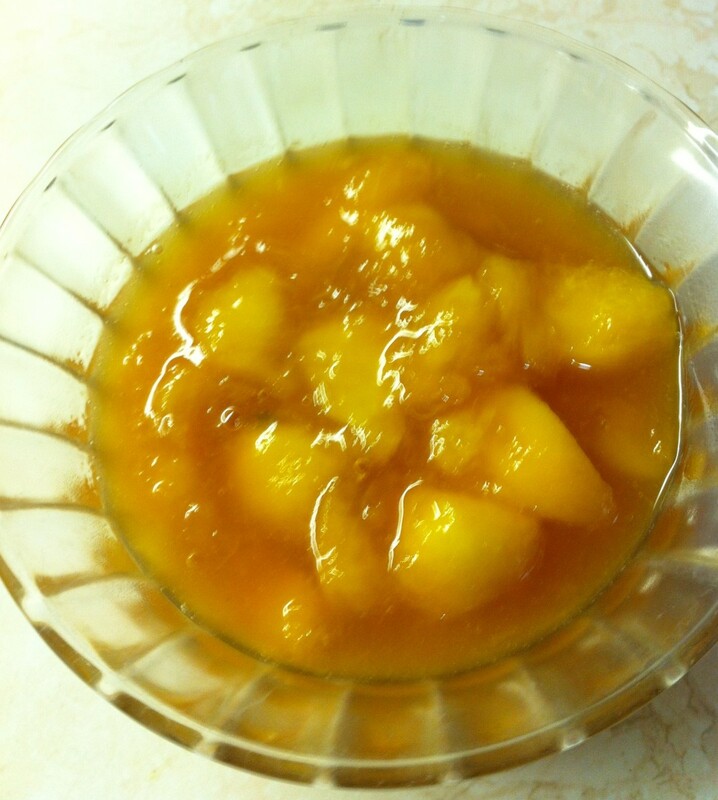 Make a fresh peach dessert topping with 3 ingredients. Or how about a rum and fruit compote with easy to follow instructions. 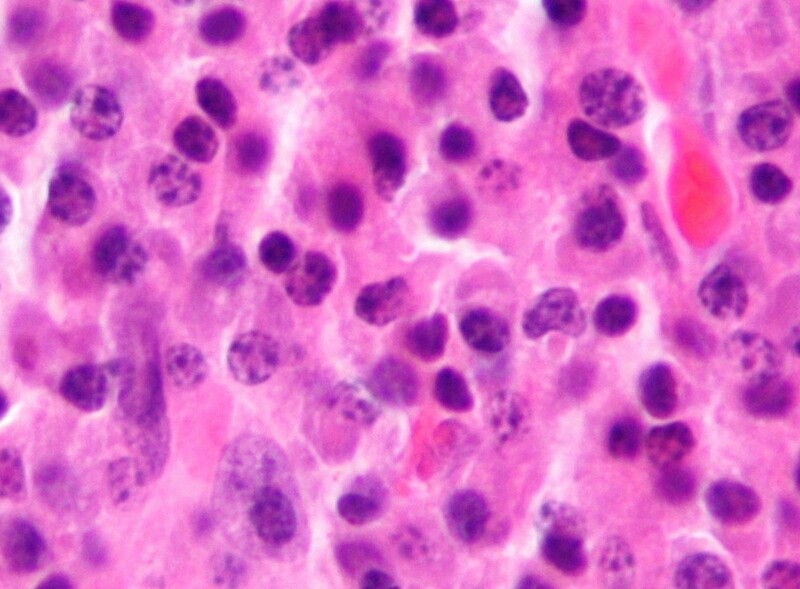 A rare cancer of the plasma cells found in the marrow of the bones. 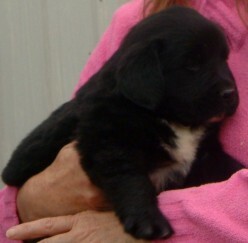 Finding it difficult to come up with a name for a large dog? 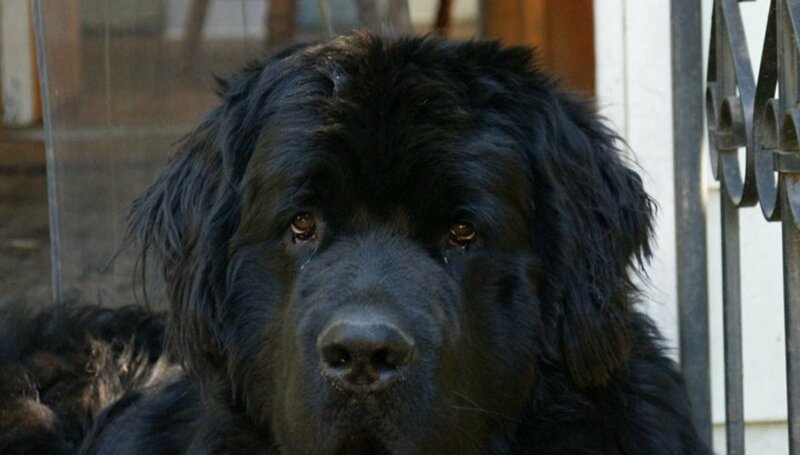 Here you will find some suggestions that you may like as well as a bit of information, pictures and a video on the Newfoundland breed. Have you recently quit smoking? Do you think you may slip up and start again? I have some tips that may help you along the way. 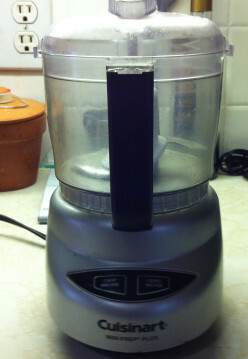 A product review on the Cuisinart Mini Food Processor. A very helpful kitchen gadget that I use frequently. Included are tips and a recipe for guacamole. Going on a trip and need a few helpful packing tips? 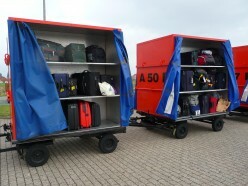 Find out how to pack those breakables along with what you can take on an airplane. 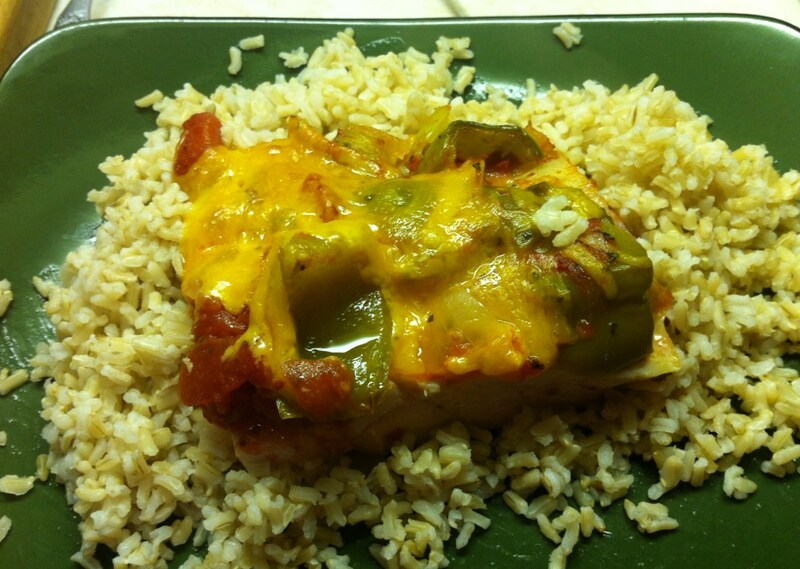 Moist and juicy boneless chicken breasts served on a bed of rice. From fridge to dinner table in the same amount of time it takes to order a pizza. Easy to follow recipe. 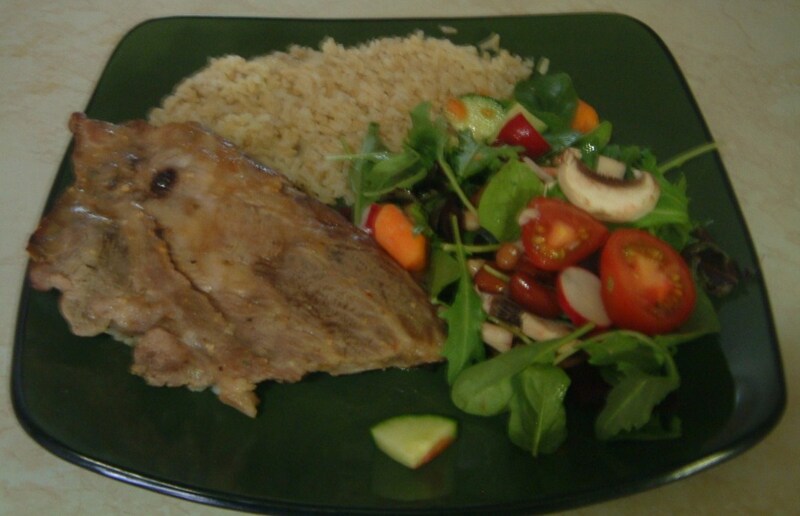 Fast and easy dish that can be prepared and on the table in less than twenty minutes. 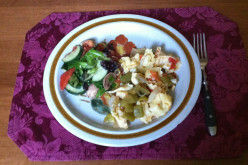 Included is a recipe for a tortellini lentil salad. Both recipes include easy to follow instructions. 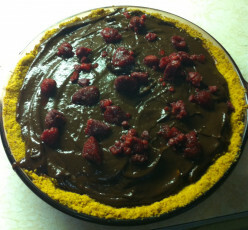 Chocolate banana peanut butter pudding pie, topped with raspberries. 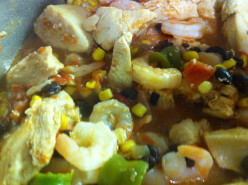 An inexpensive delicious recipe that will serve six people for a low cost of 60 cents each. 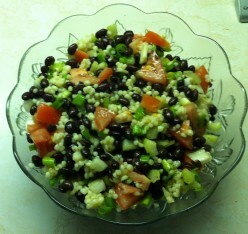 A healthy nutritious salad that can be eaten alone or as a side dish. Made with a delicious dressing with a hint of garlic and lightly spicy. 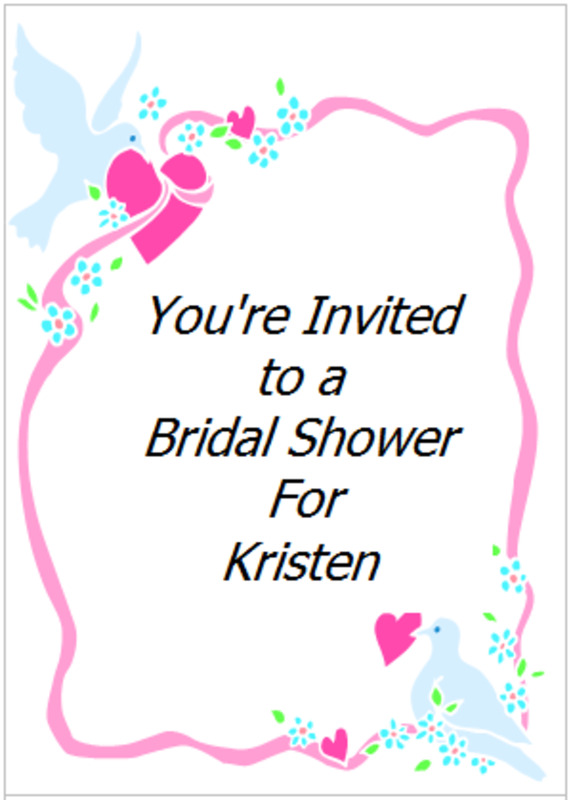 Do you have a bridal or wedding shower coming up that you need to buy a gift for? Here you will find some great suggestions. 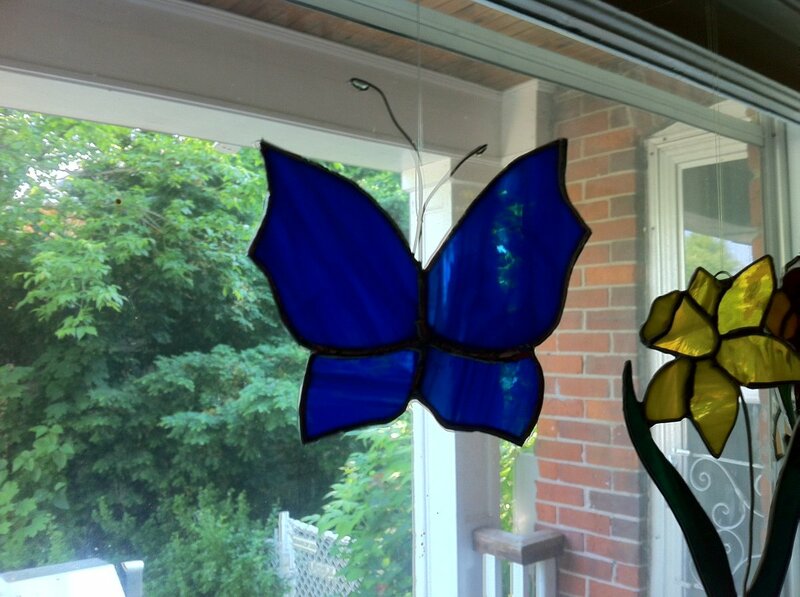 Follow these step-by-step instructions to create a lovely stained glass butterfly! I've included reference photos that you can check as you create your own piece. 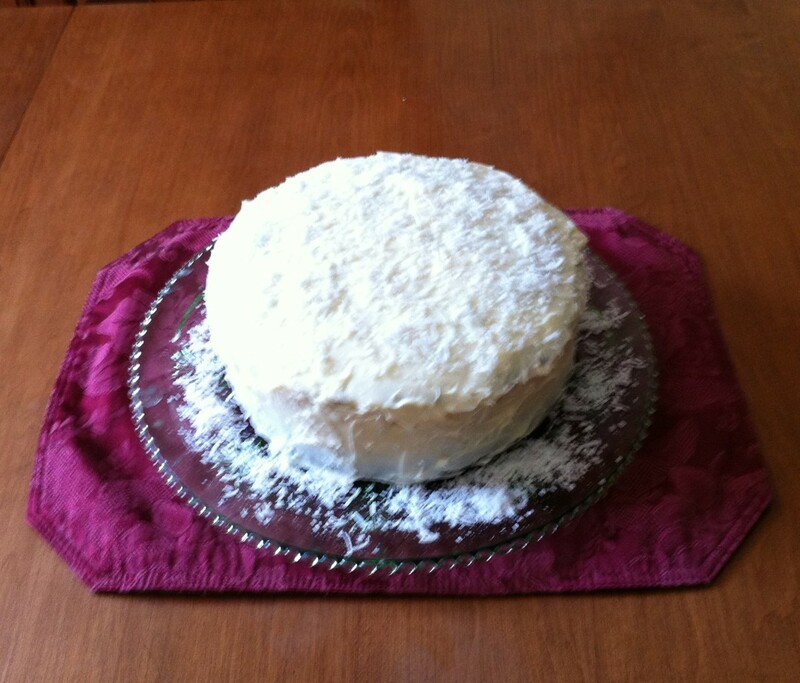 An easy to follow recipe for a homemade carrot cake from scratch. Instructions and pictures included. 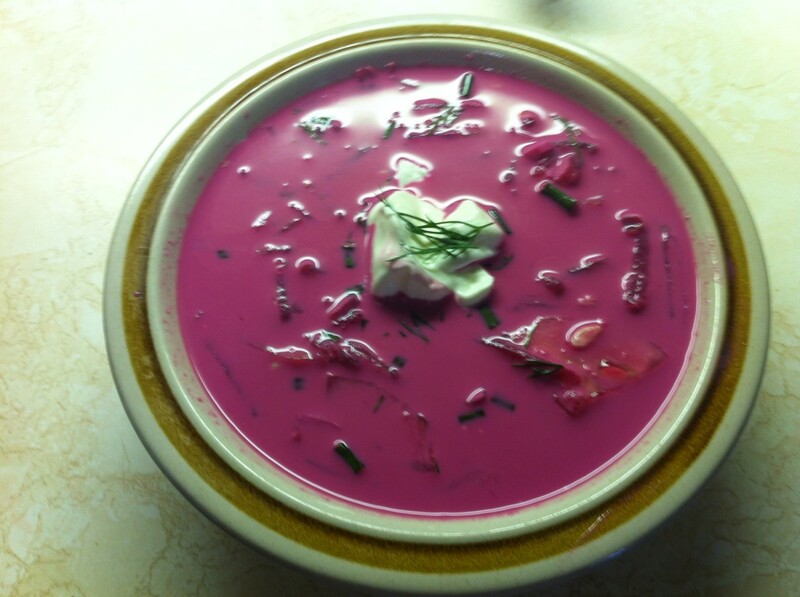 A delicious authentic Lithuanian recipe for cold soup that is satisfying on a hot summers day. Easy to follow recipe with pictures. 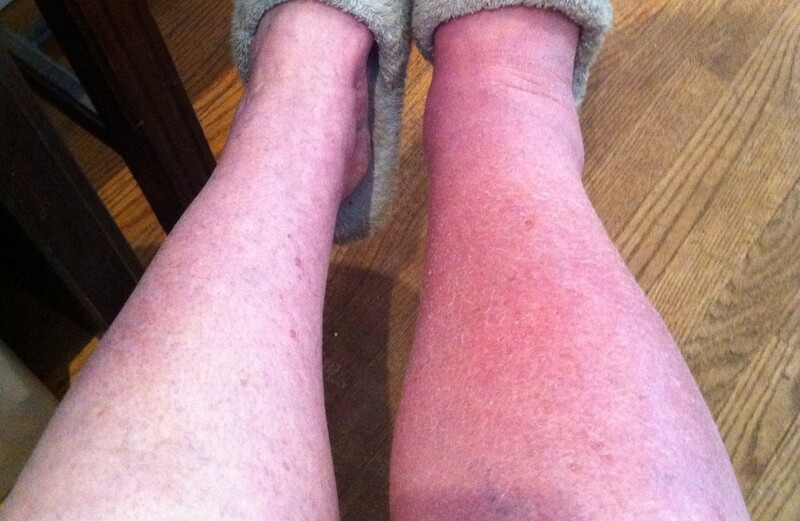 My experience with this disease including causes, treatments, and symptoms. 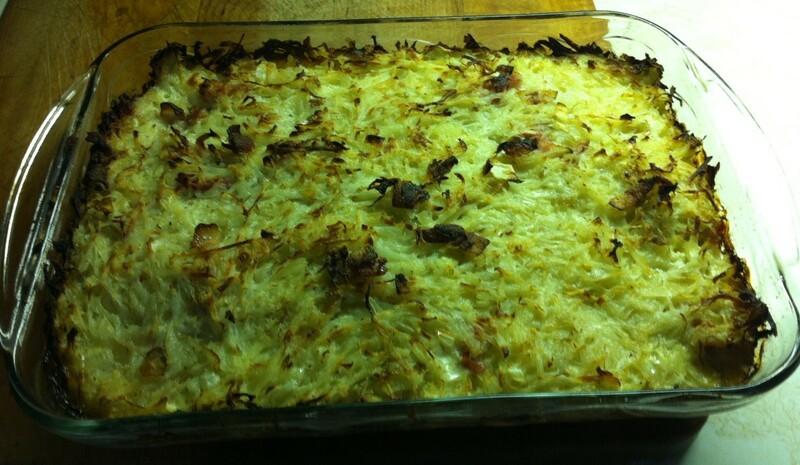 Traditional Lithuanian dish made with potatoes, bacon, onions, eggs, butter and cream. Step by step instructions with pictures included. 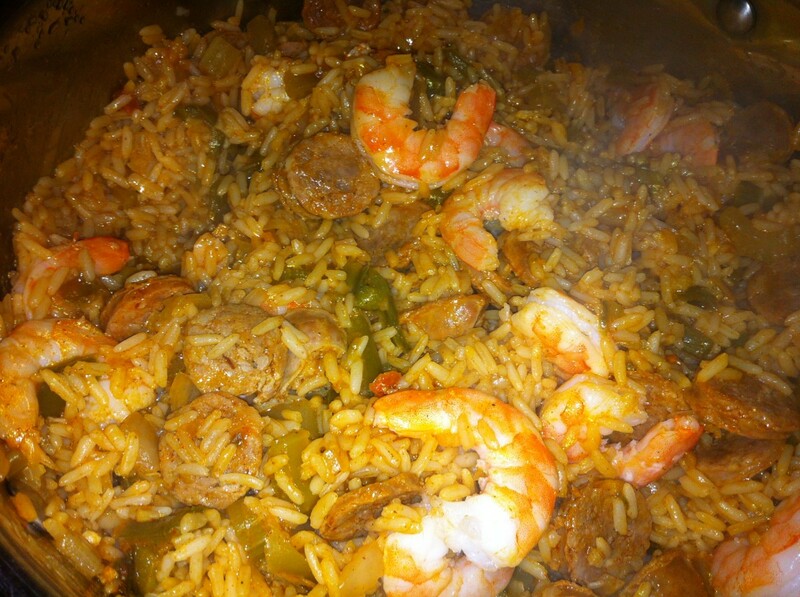 In this easy to follow recipe I've added other ingredients to Zatarain's Jambalaya mix to make it go further and feed more people. 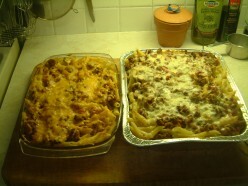 Pictures included with recipe. 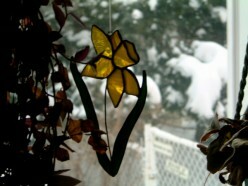 Learn how to make stained glass patterns with a few simple tools that you probably have around your home! Eating properly, adding the right amount of fiber to your daily diet along with exercise will help in achieving a healthy digestive system. 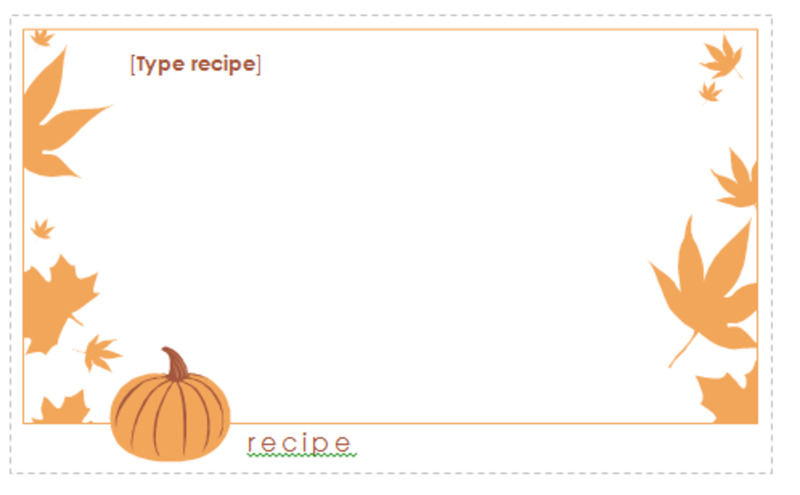 Making recipe cards easily using Microsoft Word. Simple to follow instructions with pictures. 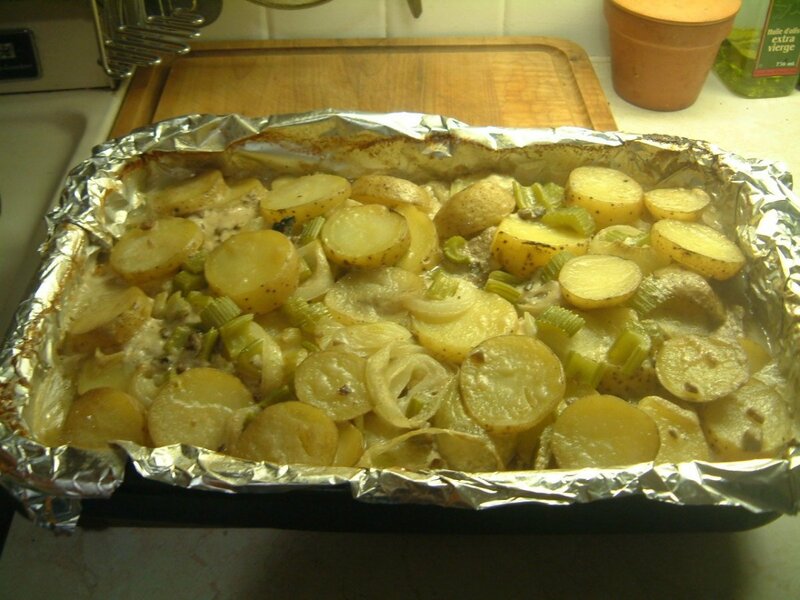 Fast and easy recipe using leftover roasted chicken, mayonnaise, celery and seasonings. Frugal tips included for making chicken broth. Know what a tapeworm looks like. Learn about symptoms, treatments, signs, what to do, and how to prevent the return of tapeworms. 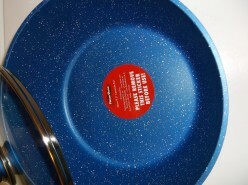 FlavorStone Cookware is on my wishlist. 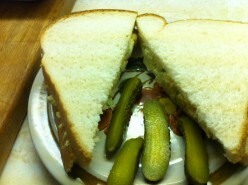 Tired of making the same old sandwiches. 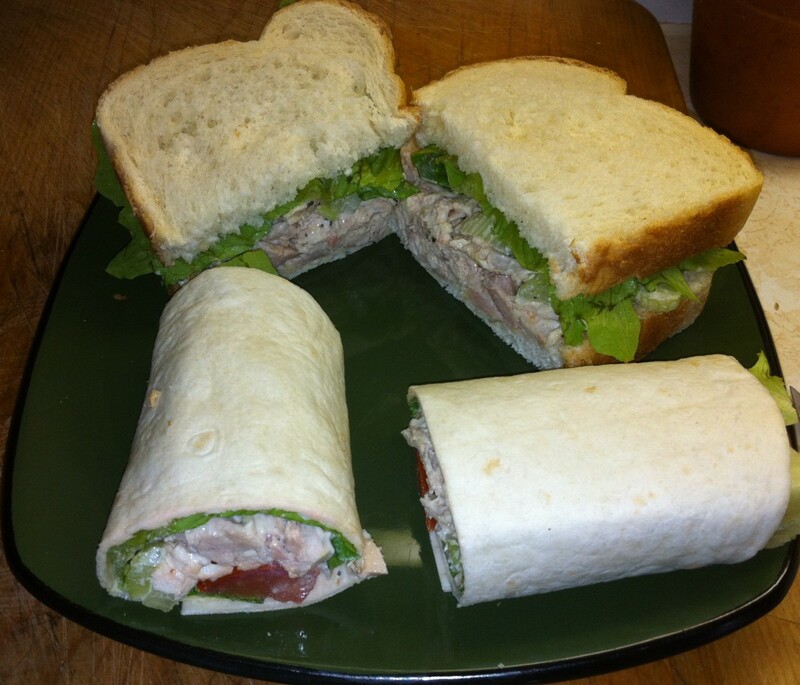 Here are five sandwich recipes that you may like. Delicious, easy-to-follow recipe made with leftover pasta sauce and cheese. Served on a bed of rice. Pictures included. 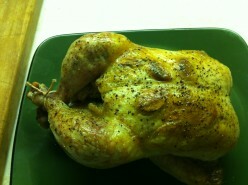 Roasted Chicken stuffed with garlic. For this easy to follow recipe you only need three ingredients. 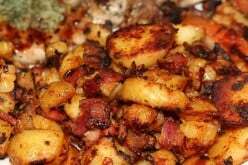 Two recipes for potatoes with easy-to-follow instructions. Great addition to breakfast, brunch, or dinner. 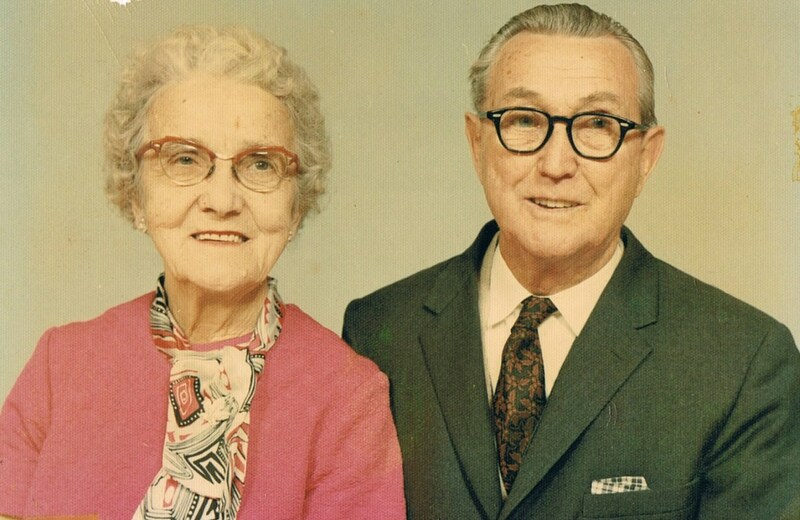 Personal memories of my childhood living with my grandparents. Pictures included. 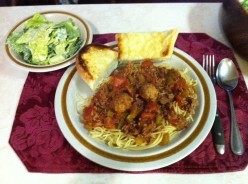 Meat lovers homemade spaghetti dinner recipe that is loaded with fresh garlic. 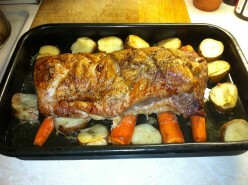 Easy to follow recipe for pork loin roast, roasted potatoes, roasted carrots and apple sauce. Pictures included. 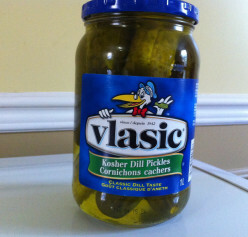 Keep that leftover pickle juice for recipes, marinades, salad dressing and more. Easy-to-follow recipe that can be on the table in 45 minutes. 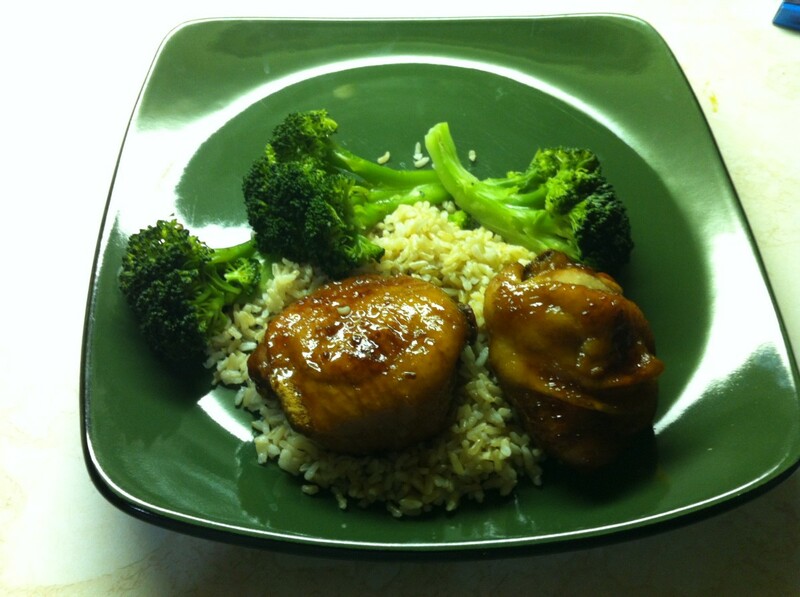 The honey garlic sauce makes the chicken deliciously moist and flavorful. 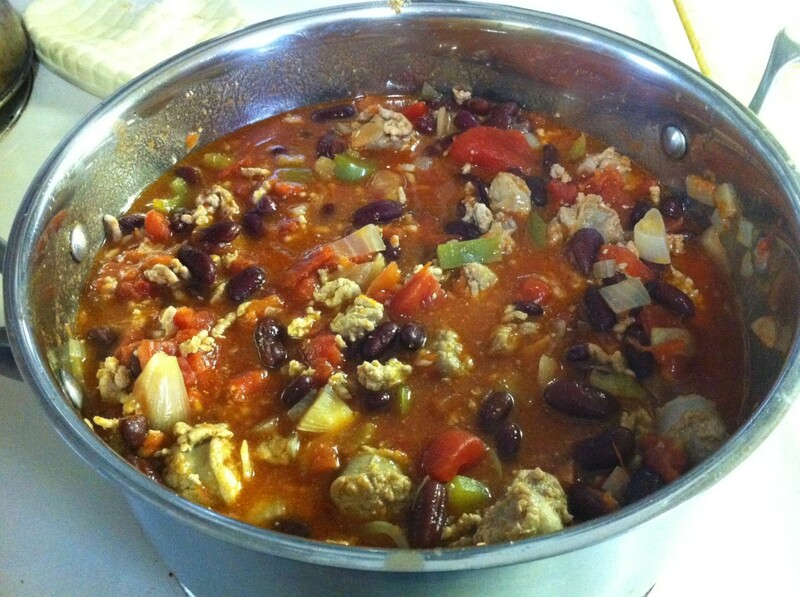 Warm up tonight with this delicious chili that can be made with either pork or beef. Easy to follow recipe with pictures. 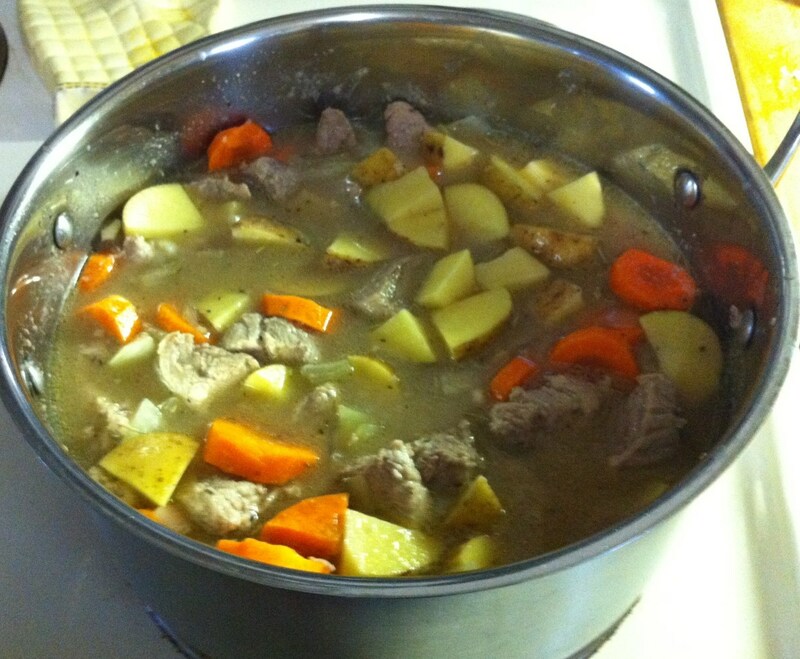 An easy to follow recipe to serve on a cold day. Pictures included. 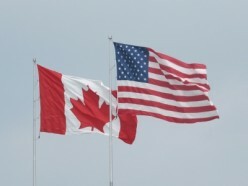 Read about the differences between Canada and the USA. Some may surprise you. 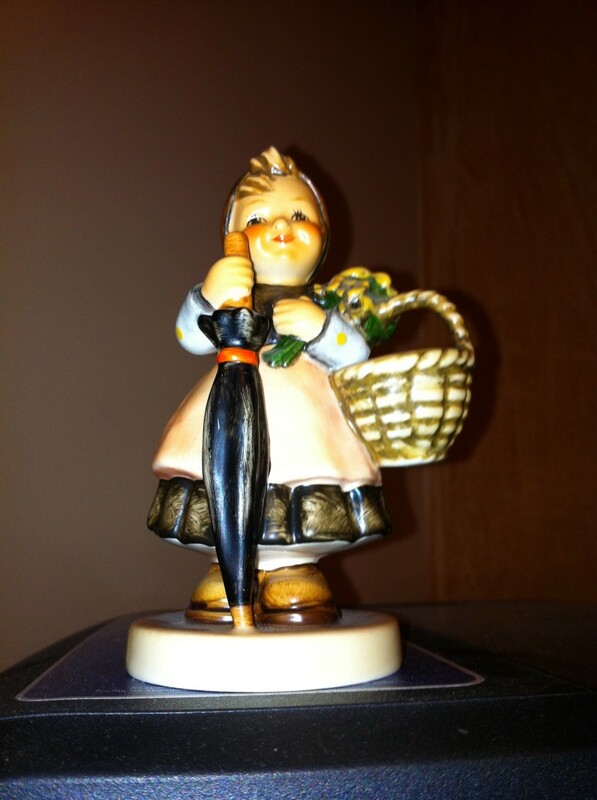 Featuring my collection of Hummels as well as what they are, how to care for them, and how to tell if you have an authentic Hummel figurine or plate. Delicious moist rum cake made with a cake mix and vanilla pudding. 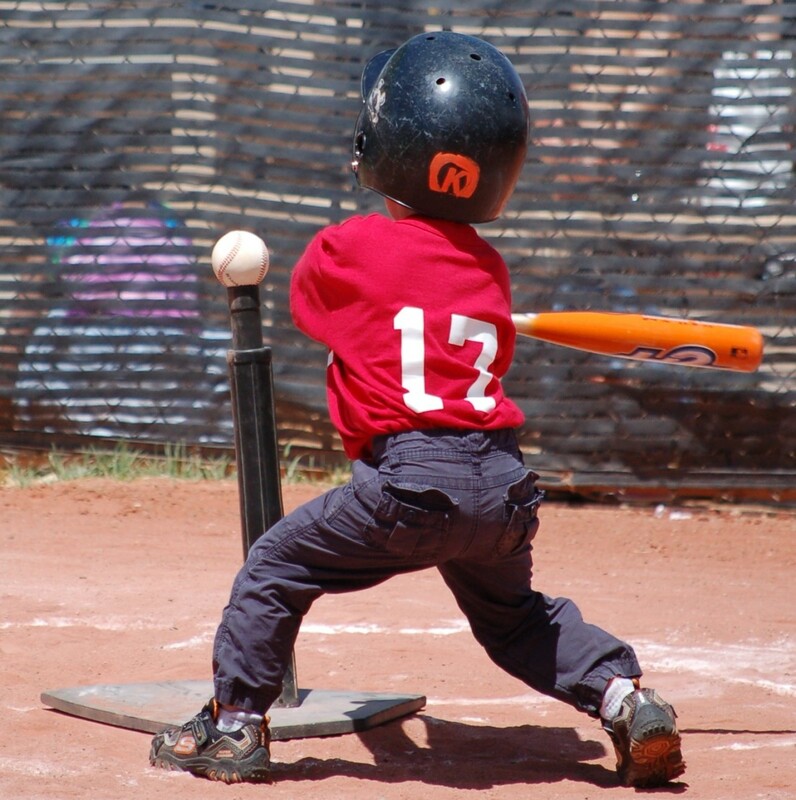 A fun sport for girls and boys ages four to eight. 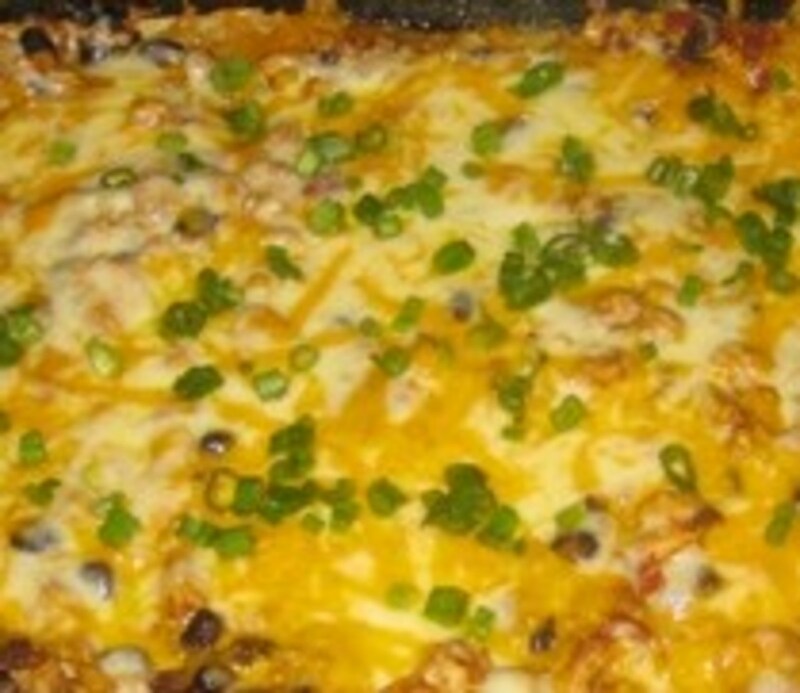 Delicious casserole with easy to follow instructions and pictures. It's almost Valentine's Day. 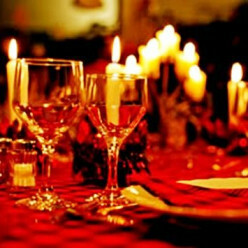 What are you planning to do for dinner this year? 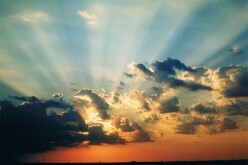 You just never know how much one little thing can change your life. Easy to follow recipe for ribs cooked in the oven. The meat will fall off the bones. 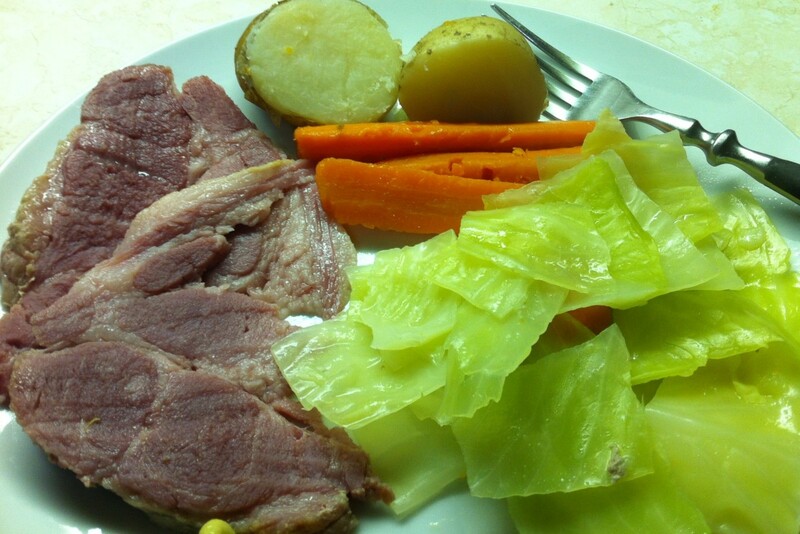 Roast beef dinner recipe with easy-to-follow directions. Garlic mashed potatoes included. 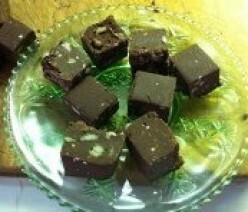 6 ingredients for this fast delicious chocolate fudge. Easy to follow recipe with pictures. 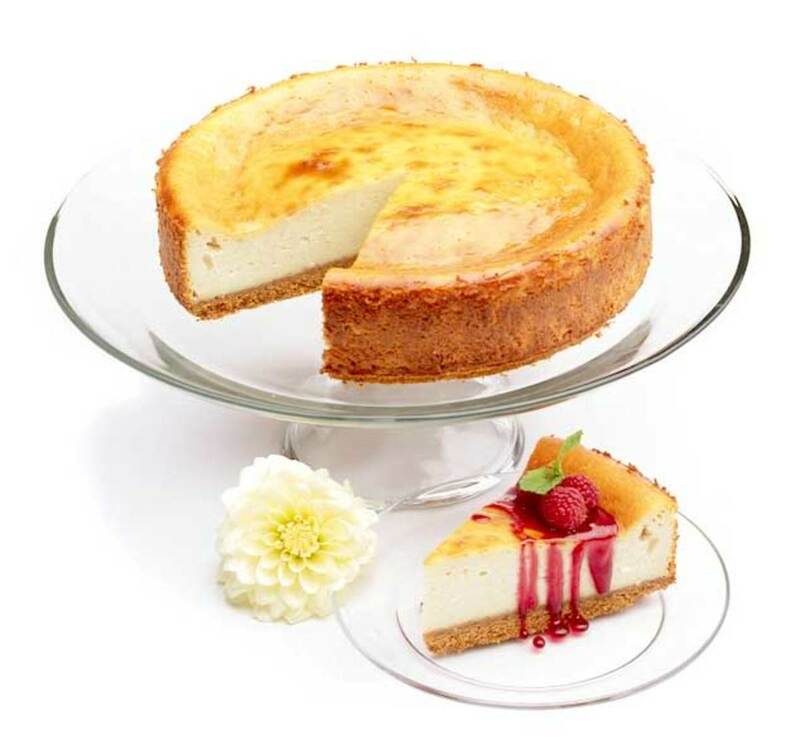 Decadent cheesecake with easy to follow instructions. Serves 20 - 30 people. 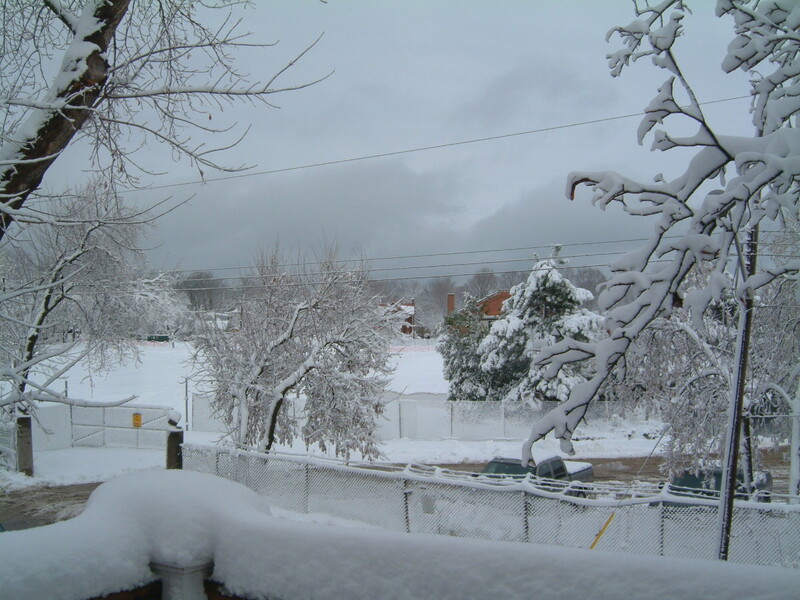 Two poems inspired by a Christmas card I received. 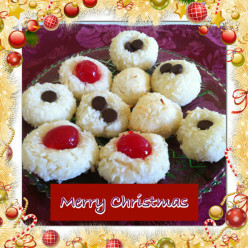 Two fast, easy and no bake sweet treats for Christmas or New Years with simple to follow instructions. 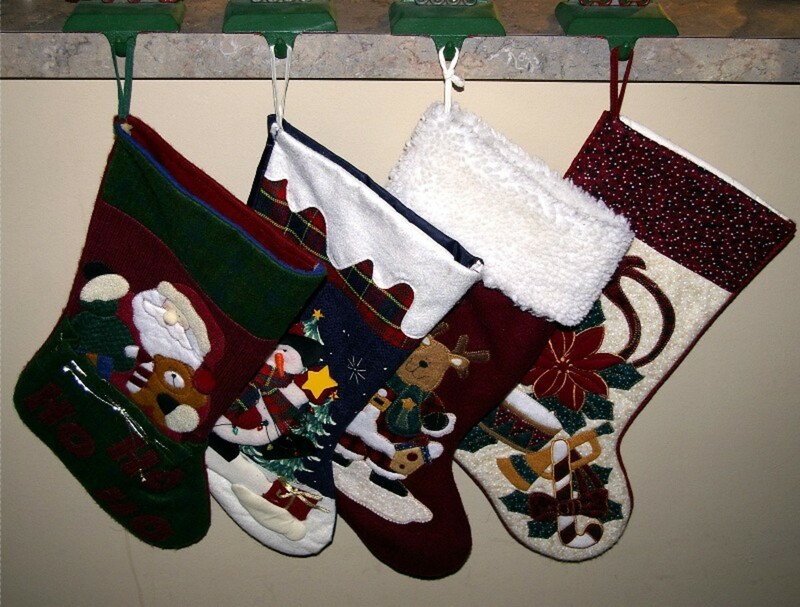 If you are at a loss as to what to fill those stockings with, here are some ideas to get you started. Introducing Magz and Bruce. 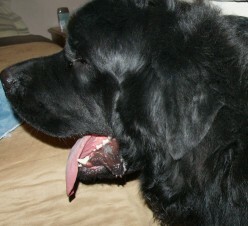 Two Newfoundland dogs that are dear to my heart. A photo journey. 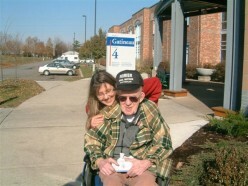 A poem and tribute to my hero, my dad. 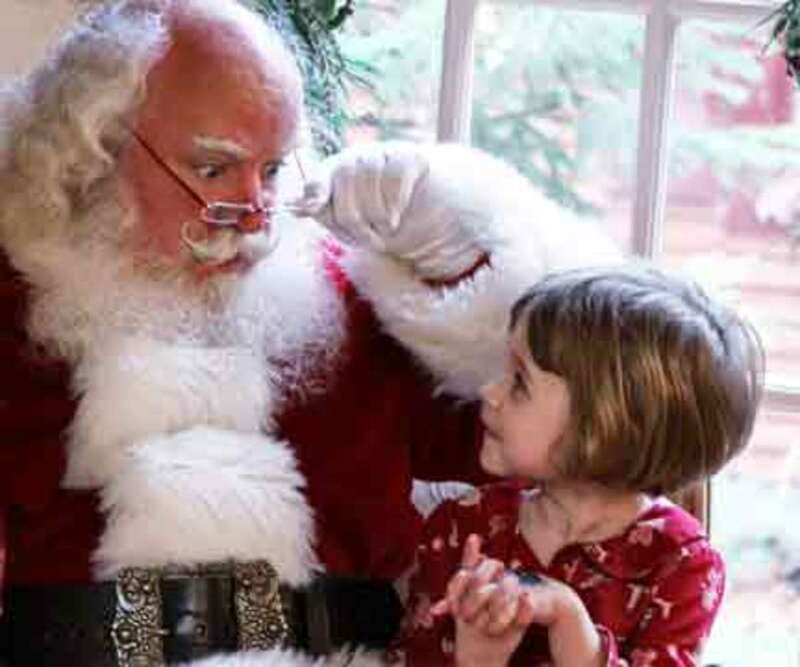 A short story about how a perfect stranger with a big heart made my sons Christmas a one he will remember for the rest of his life. Things you should do before getting into your car to drive. What to check outside the vehicle and under the hood. Useful tips and handy items to keep you safe. 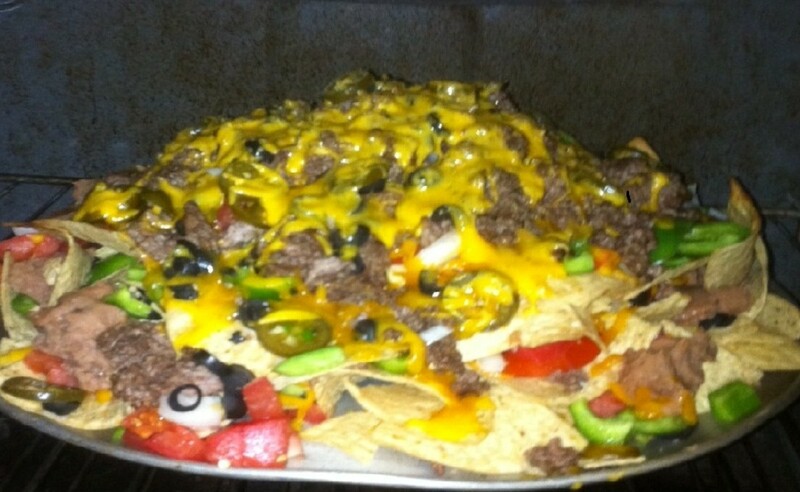 Easy and fast recipe for Nachos. Guacamole recipe included. Make as an appetizer or have as a meal. Cheesy, spicy and delicious. 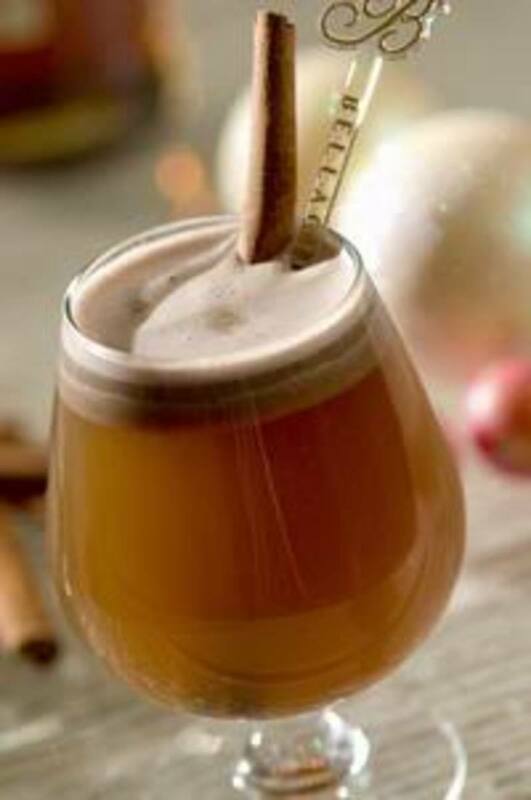 Enjoy a hot beverage that will help you sleep like a baby. See the Dance for Cancer Research at The Rosalind and Morris Goodman Cancer Research Centre at McGill University in Montreal. Causes, symptoms, diagnosis and treatment of Pilonidal abscesses including treatment and healing time. Moist spicy flavorful chicken breasts that are marinated and breaded. 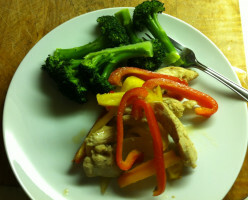 Easy to follow recipe with Broccoli Stir Fry. 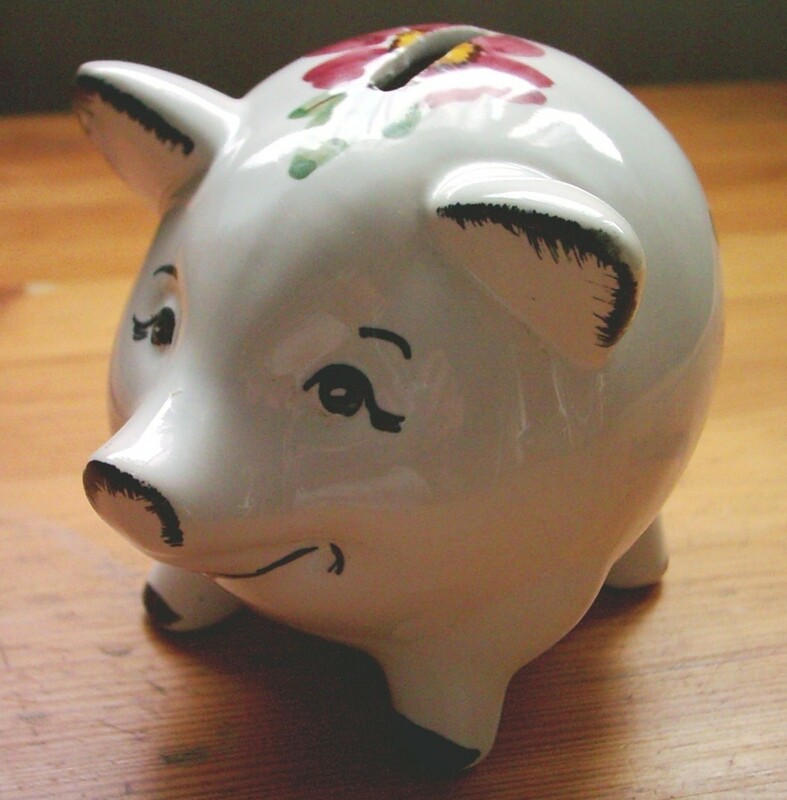 Reduce reuse recycle ideas that may save you some money. Craving a salad but not the lettuce? 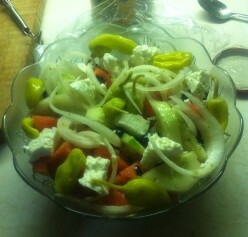 Try this recipe for Greek Salad. 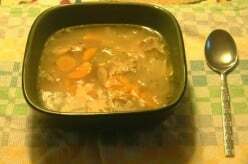 Easy to follow recipe with instructions on how to make homemade turkey soup using 10-13 ingredients. Traveling to Canada sometime soon. Here are charts on kilometers per hour, Celsius to Fahrenheit, how to easily convert gallons to litres and pounds to kilograms. How to properly merge onto a freeway with video. Dealing with cancer is not an easy task. Thinking positive, having a good support system, and fighting this disease with the mindset of I will survive are some of the ways I believe cancer can be beaten. 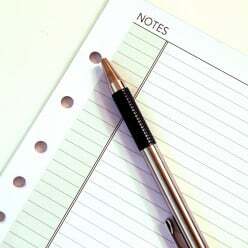 Are you a list maker? 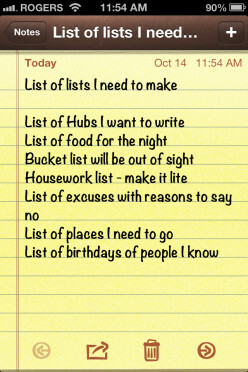 This is a poem about making lists upon lists. 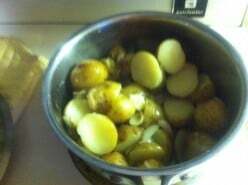 An easy to follow recipe with pictures for potatoes sauteed in fresh garlic and butter. 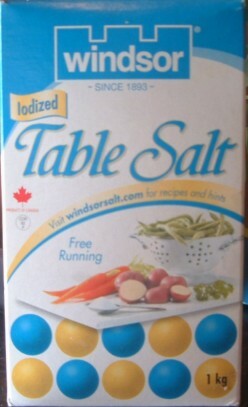 This delicious side dish goes well with anything. 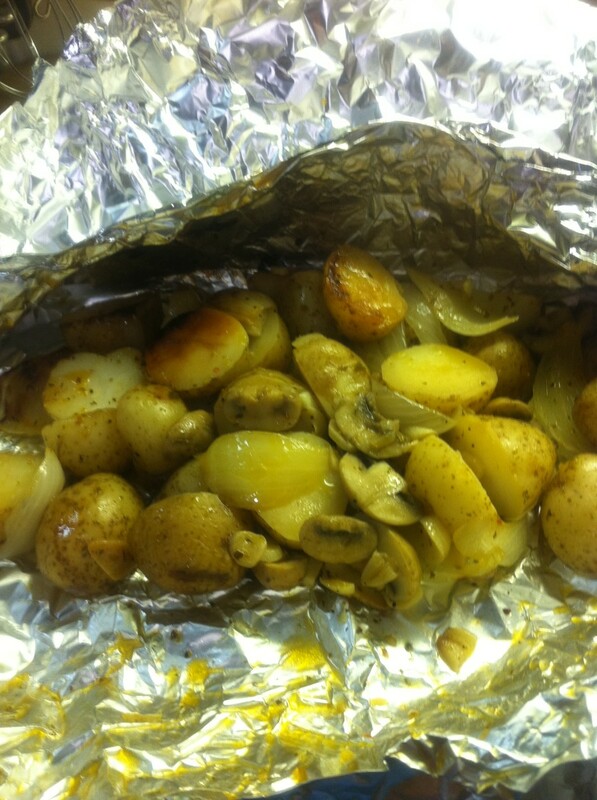 Easy to follow recipe for grilled roasted potatoes with onions, mushrooms and garlic. 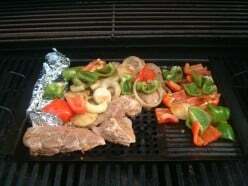 BBQ at the same time that you're cooking your meat or fish. Spices that talk is one of my many silly poems. 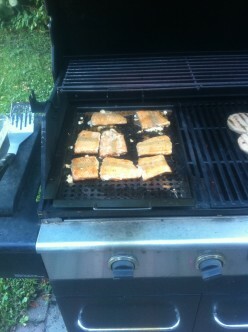 Recipe for salmon fillets marinated and grilled on the barbecue for ten minutes. Easy to follow instructions. A Poem I wrote for my 3 sons. Oh how I miss those days so much. Getting a smile from a gentle touch. Watching you sleep was such a joy.I was blessed with 3 baby boys. 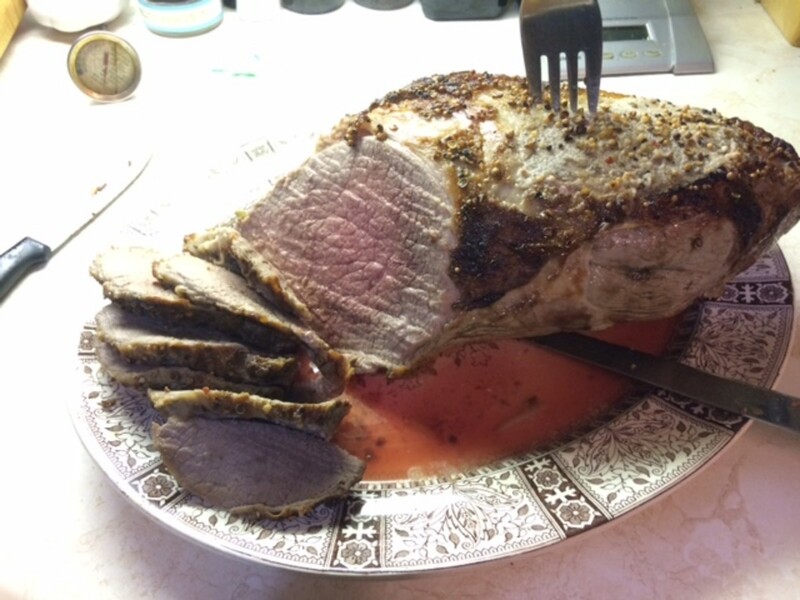 A simple to make recipe for Grilled Pork Loin Roast with instructions and pictures. Old Orchard Beach in Maine is a fantastic place for a family vacation. 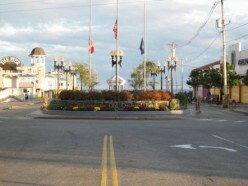 Relax at the beach, take a walk on the Pier and make sure to visit Playland amusement park. 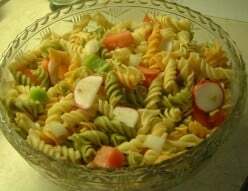 Pasta salad with a zippy spicy flavor that has a bit of kick to it. How do you as a couple handle argumentative situations? Do you yell and scream or do you walk away and deal with it rationally when you have both calmed down. Is Rawhide Dangerous for Dogs? Rawhide treats that some people let their dogs have can be dangeous. 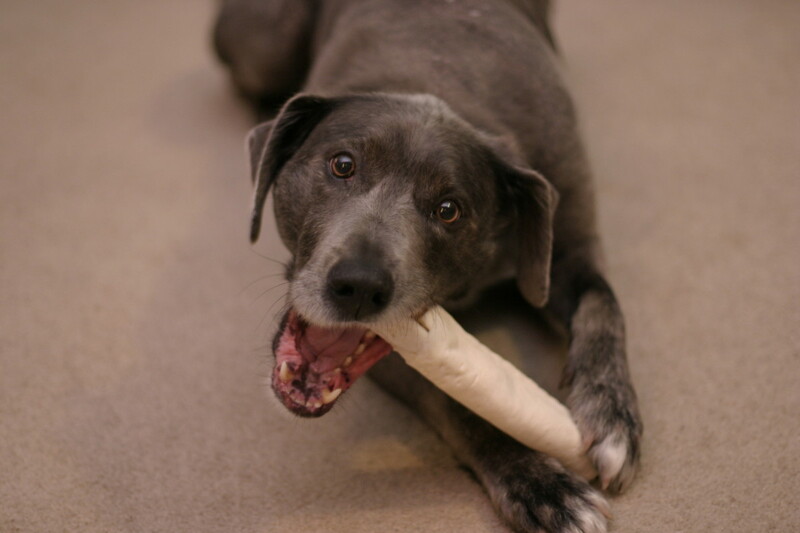 Check with your veterinarian before allowing your dog to have rawhide treats and toys. 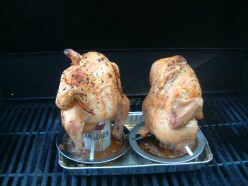 This recipe for beer can chicken makes the chicken juicy on the inside and crispy on the outside. 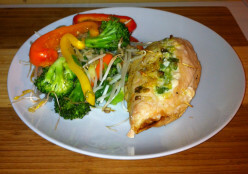 An easy fast and delicious recipe for salmon fillets baked in the oven and topped with Dijon mustard, tarragon, fresh ground pepper and garlic. Pork Souvlaki dinner cooked on the barbecue with easy to follow instructions and marinade recipe. 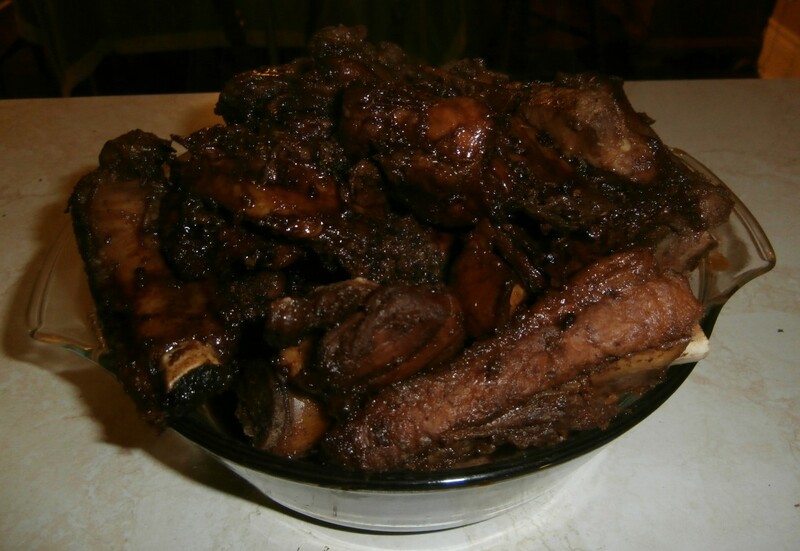 This pork riblets meal is a very easy to follow recipe that can either be barbequed or baked in the oven. The riblets come out tasty and tender. Snap is a fun game to play whether you are an adult or a child. There are several variations of this game and all are quite entertaining. Canadian's are beer lovers. 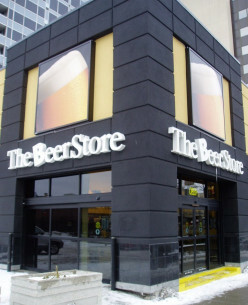 Find out what the laws are from province to province as to where you can purchase beer. 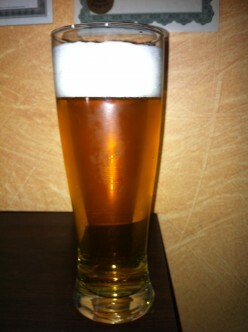 Some fun facts about beer and a few jokes. 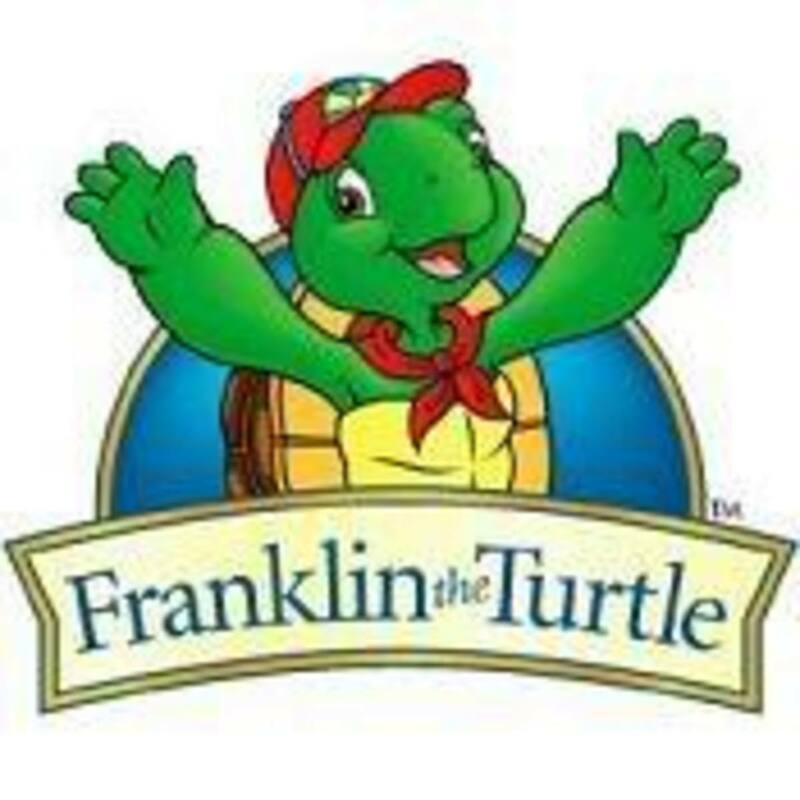 Franklin the Turtle books for children 4 - 8. These books have helped so many children with fears, doubts and everyday anxieties. Magnificently illustrated with wonderful story lines. 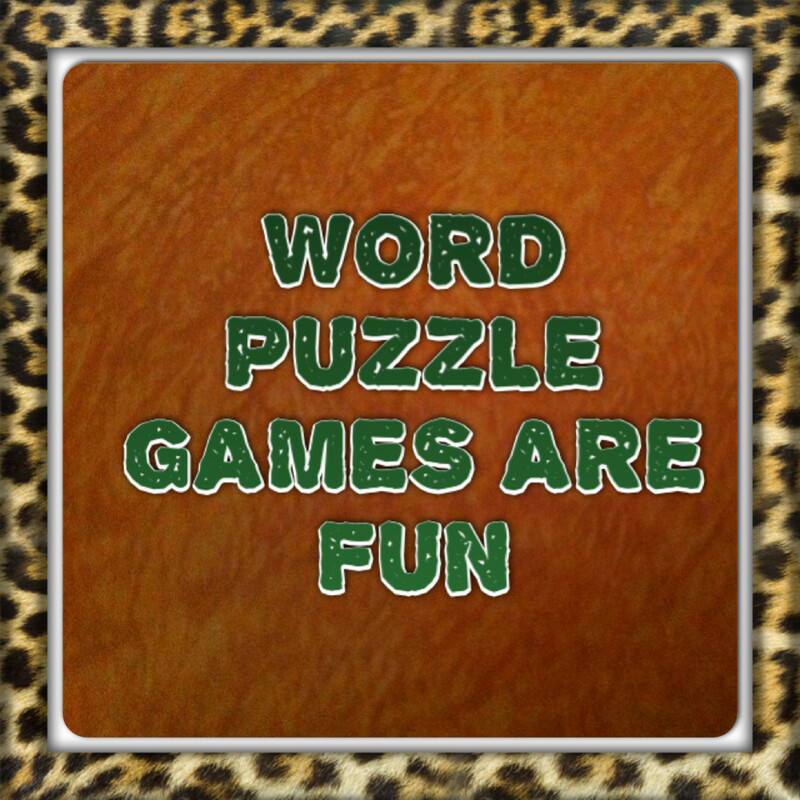 Child's Play Books for learning, fun and interacting. 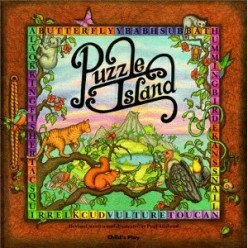 Puzzle, bath, and nursery rhythm books. 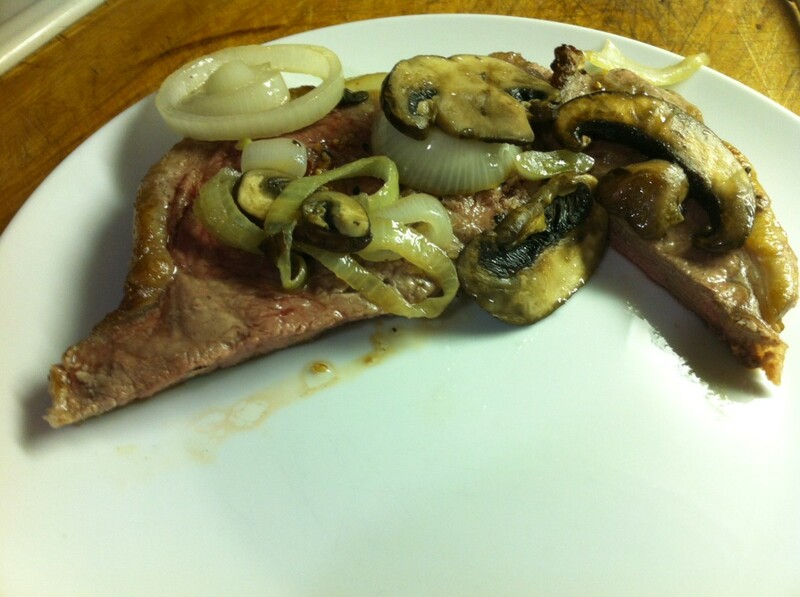 By marinating a blade steak before cooking, it will come out juicy and tender. 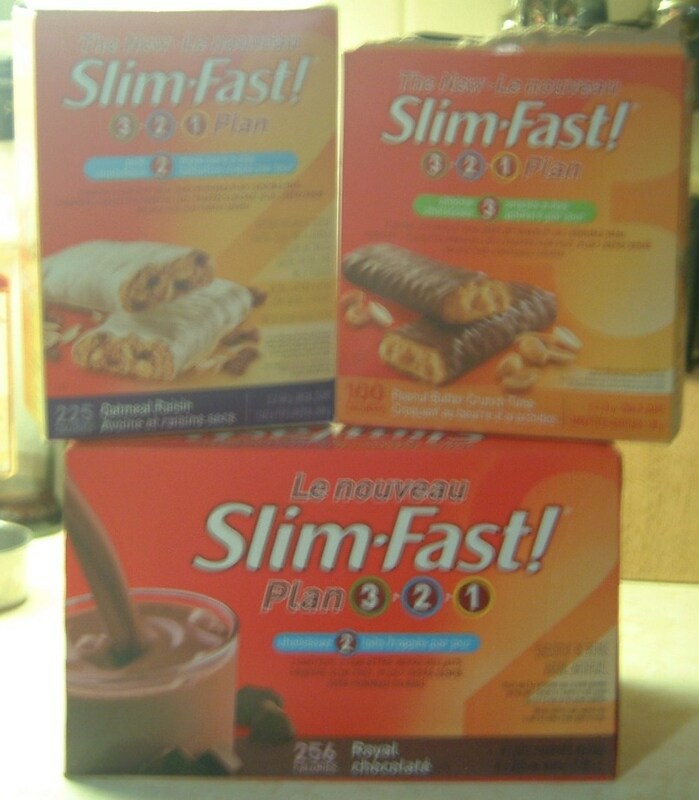 Slim Fast Diet Plan works so well for me when it comes to losing weight without starving by simply following the diet plan. 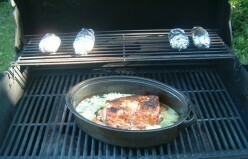 Recipe for stuffed butterfly pork chops made on the barbeque. Newfoundland Dog Water Rescue How these dogs are trained complete with videos. Companies really do tend to over package their goods. As a society we are expected to recycle. 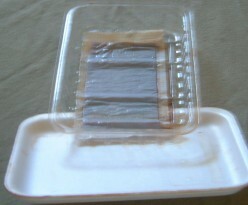 Does over packaging not defeat this purpose? 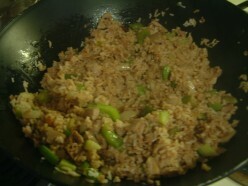 Recipes with pictures and instructions on how to make Pork Fried Rice and Chicken Chop Suey Sue. Four silly poems about apples, peppers, purple potatoes, and lilies. The last one is a poem using The Beatles song titles. 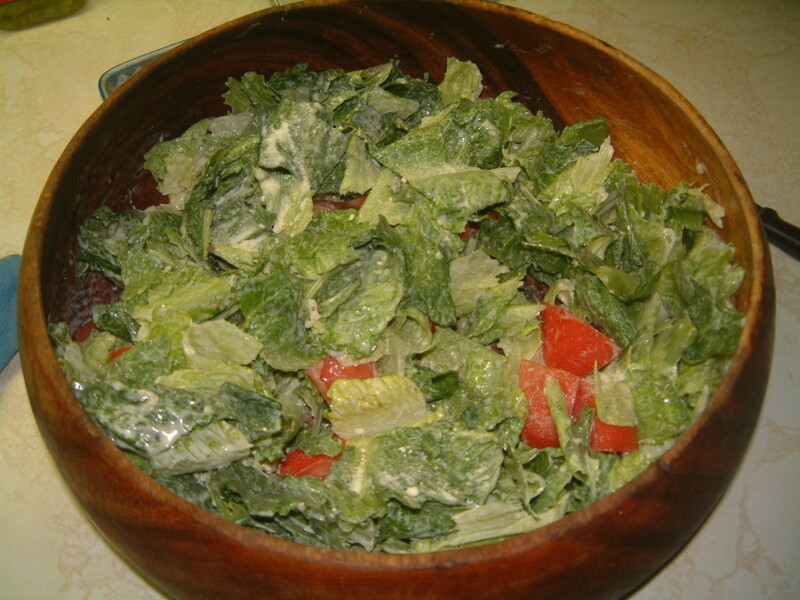 Here I have two ways to make a Caesar salad dressing and a spinach salad dressing with a Greek flair. Homemade dressings are less costly and healthier. Is salt really all that bad for you? Our bodies need salt for our muscles, our hearts, to think and for our memory. 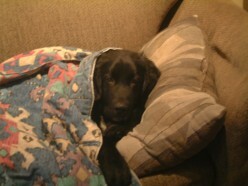 Dogs and Sleep "Let Sleeping Dogs Lie"
Average sleep time for a dog is 12-14 hours a day. 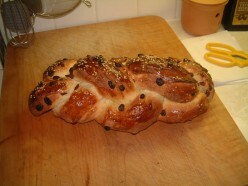 How to make A braided raisin bread with instructions and pictures.An easy to follow recipe. 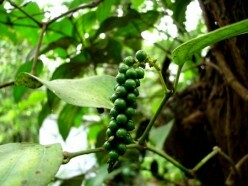 Extracts from pepper have antioxidant properties. Improves digestion lowers body temperature. Uses for pepper other than a spice. What you need to know to become a drywall taper. 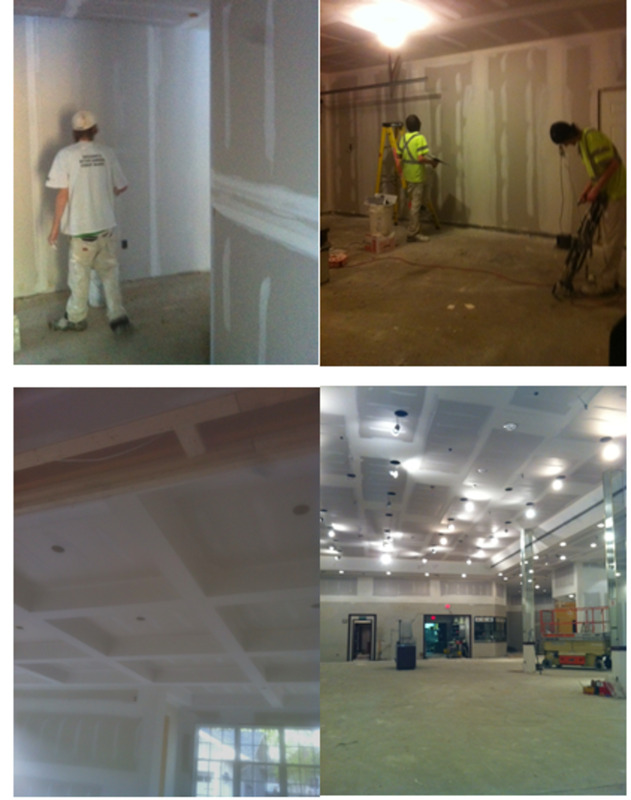 Drywall Taping/Taper Tools that you will need, Union or Non Union, Hourly or Piece Work and Skills required. Includes videos. 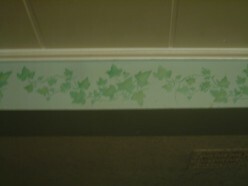 Easy stencils to brighten up your kitchen cabinets and walls with instructions and photos. 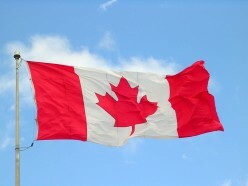 How much is it going to cost to have a funeral service in Ontario Canada. What is the cost of a simple cremation. 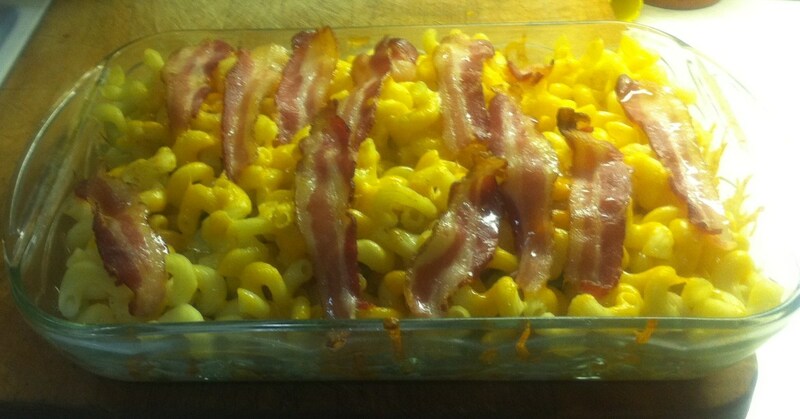 Easy to follow recipe that will satisfy any cravings for a cheesy pasta casserole. 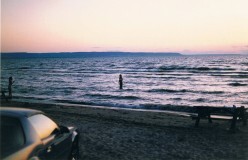 Visit Wasaga Beach this year for a fun filled family vacation spot. 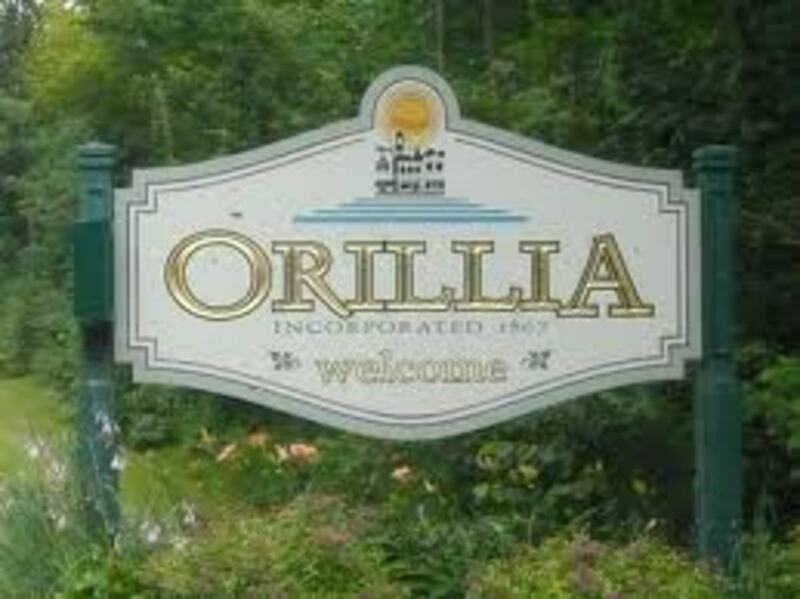 Lots to do here and in surrounding areas. 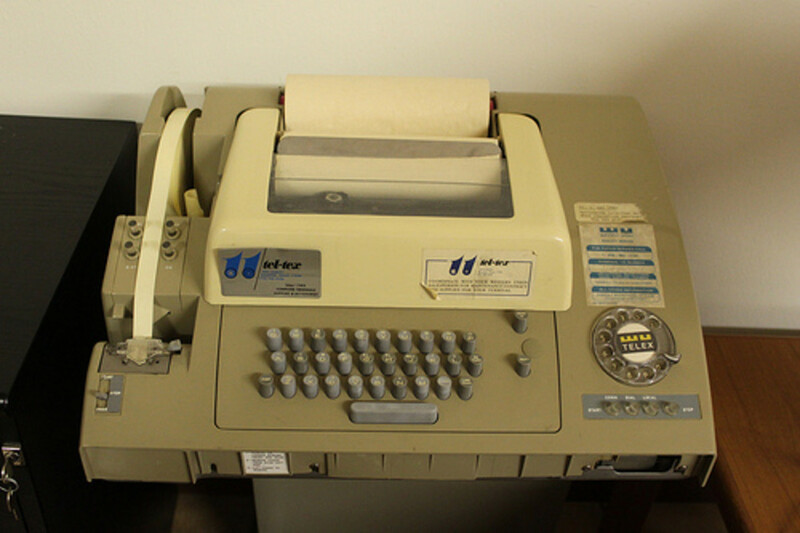 Telex or teletype machine is similar to a typewriter and is still in use today on ships. Lasagna lovers, here is an easy recipe that will make your appetizer the hit of the party. Mexican Lasagna is easy to make and tastes delicious. Make as a side dish to go along with Mexican food or you can have this as the main course served with tortilla chips and a side salad. 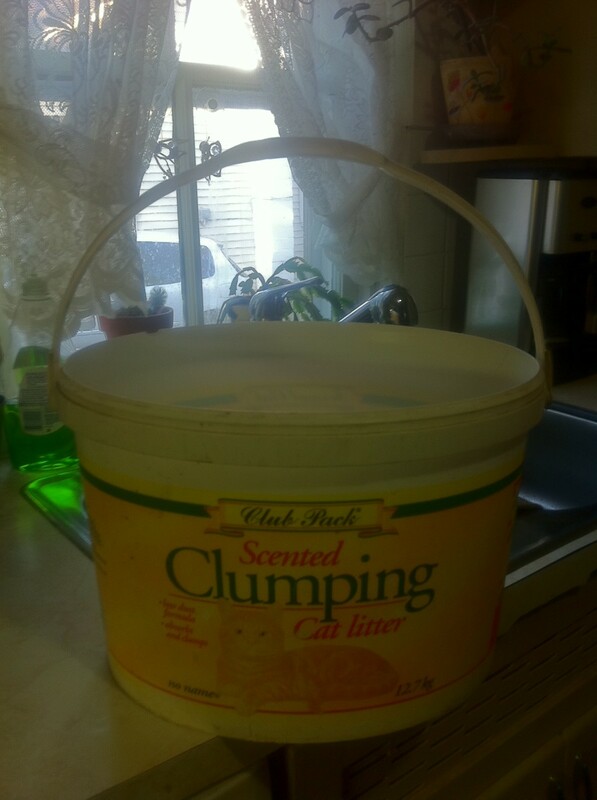 Renovating around our house for any large do it yourself projects, are sometimes a difficult task. Come and see what I call my Million Dollar Porch. Ever have a song that gives you goose bumps? Sometimes When We Touch is the one that does for me. 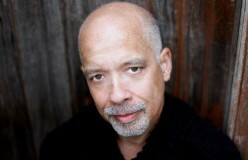 Written and recorded by Dan Hill. What to expect at a Royal Wedding. What to wear, what you can say and not say and how you must behave. Flesh Eating Disease. A Short story on how I contacted this disease and what happened to me. The oldest brewery in North America that is still in existence today is Molson that dates back to 1786 and is located in Montreal, Quebec, Canada. Nature on canvas in its beauty by Canadian painter from Toronto, Ontario. 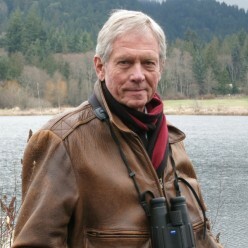 Wildlife artist of the year in 1980. 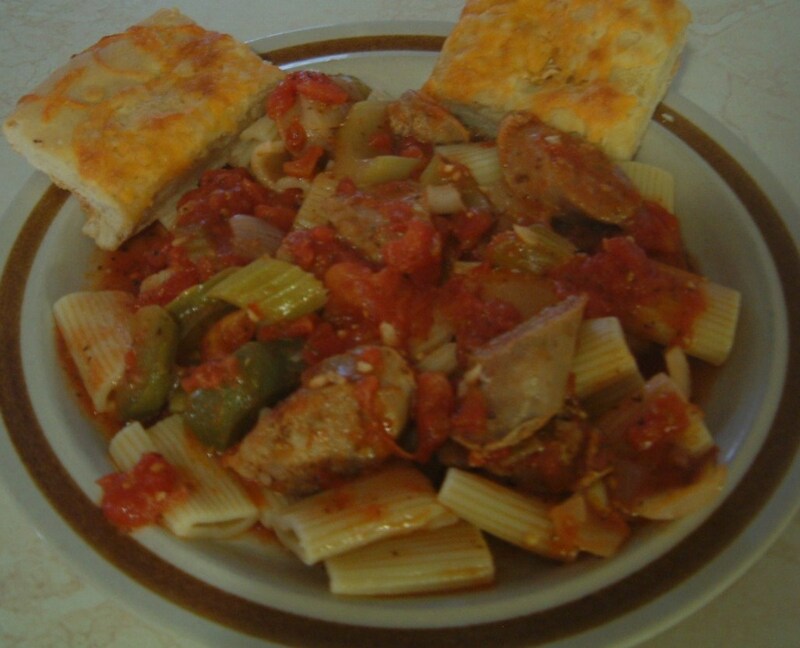 Spicy sausage pasta that is similar to East Side Mario's, includes easy-to-make instructions. 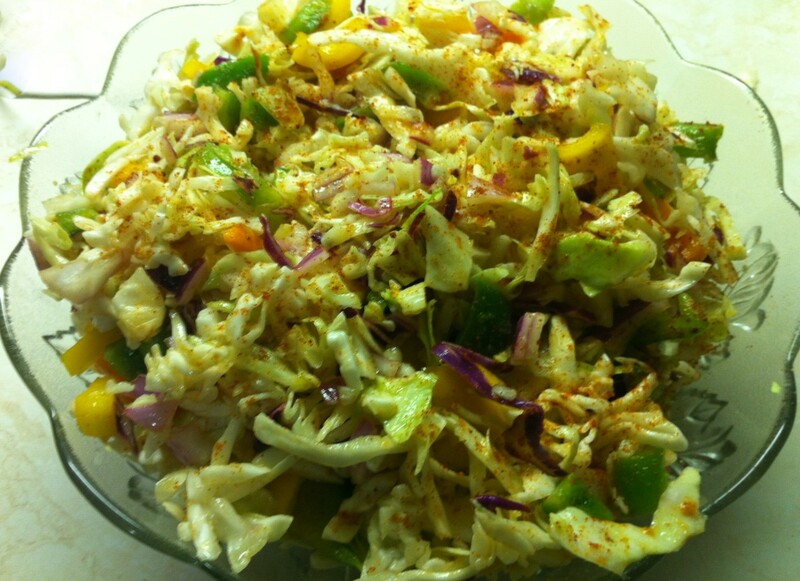 This recipe for coleslaw is made without mayonnaise and uses oil and vinegar. 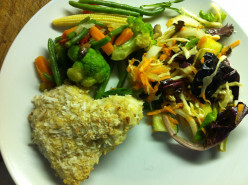 The benefits of feeding a raw diet to your dog and you. Brett Butler, Patricia Richardson, Lucille Ball, and Elizabeth Montgomery, have all played the role of mothers on TV sitcoms. Sleep like a baby tonight. No more tossing and turning. Cool in the heat warm in the cold. A poem that I wrote for my mother in law. Hold your mothers close to your hearts. Always remember them on Mother's Day. 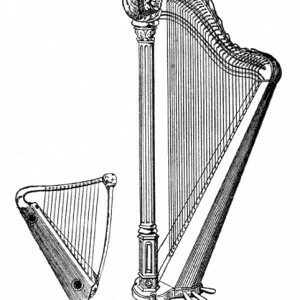 Dating back to the ninth century in China and India. 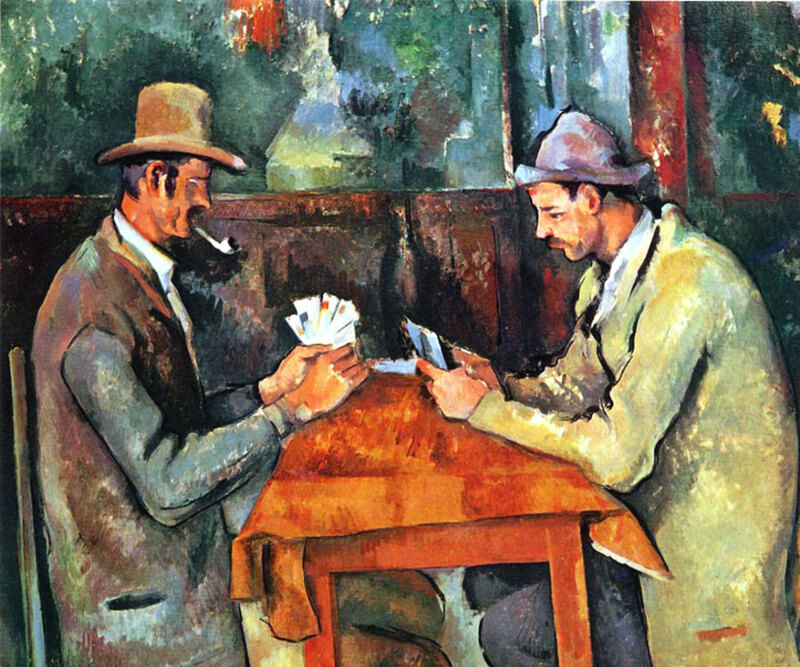 How the cards of today differ from when they first were invented. 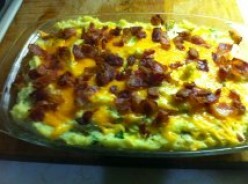 Easy to follow recipe for a comfort food that has many different names. As well a Video on how Gordon Ramsay makes this pie. 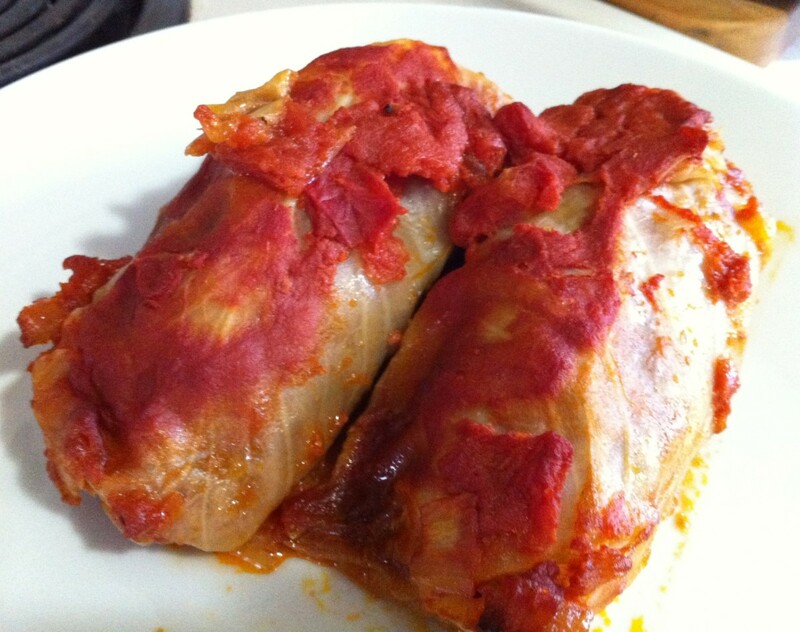 Easy to follow recipe and how to prepare the head of cabbage to make a delicious meal. 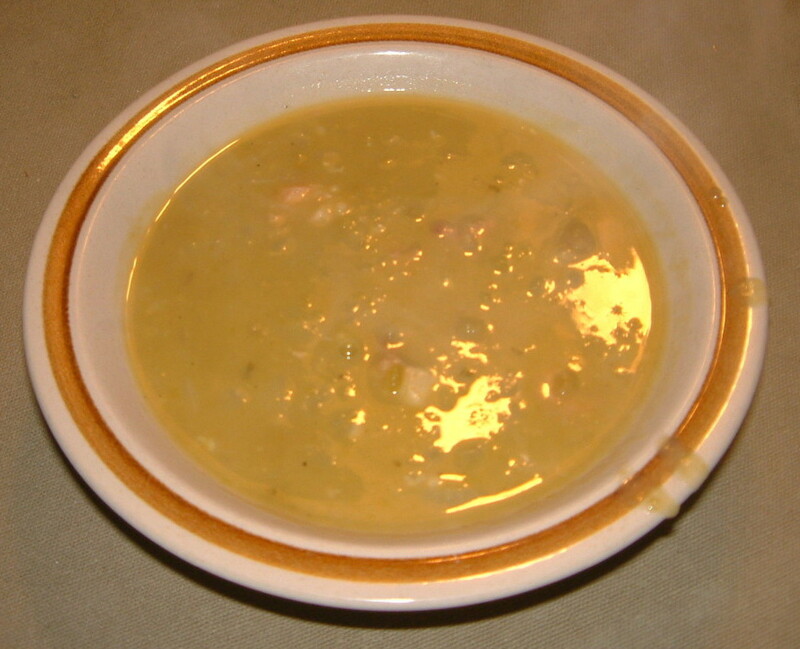 This tasty recipe for authentic homemade split pea soup is very easy and fast to prepare. 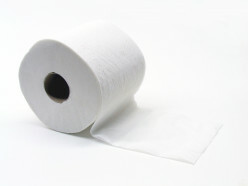 Toilet paper dates back as far as the sixth century AD. 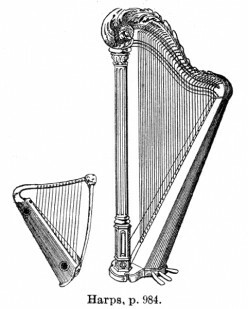 The Greeks used to use stone and clay. 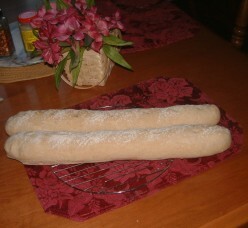 Cost of bread is rising so why not save a bit of money and make your own. There's nothing like the aroma of fresh bread being baked. This is an easy to follow recipe. After having a Mastectomy or perhaps right before surgery you have a few options that you will need to think about. Prosthetics or implants? Comfort food for the soul. 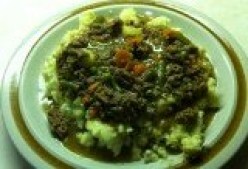 Try this easy delicious recipe for Hamburger Beef Stew served on top of mashed potatoes. 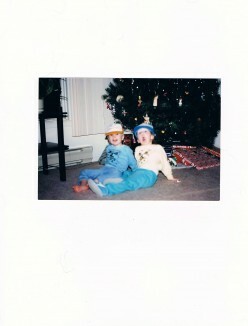 When I found out that I was pregnant with twins I was ecstatic. Having twins has been wonderful. 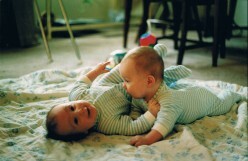 So many people ask me how did you ever cope with two babies at the same time. I'd ask is it different. Romantic gift ideas for any time of the year. 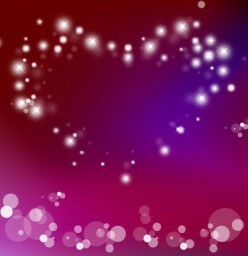 Jack Benny, Jimmy Hoffa, Florence Henderson, Meg Tilly, Michael Bloomberg and more all share this romantic day of their birth on Valentines Day. There's nothing as beautiful as nature itself. 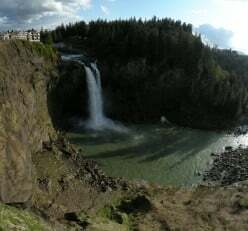 Come experience the breathtaking beauty at Snoqualmie Falls in Western Washington state. 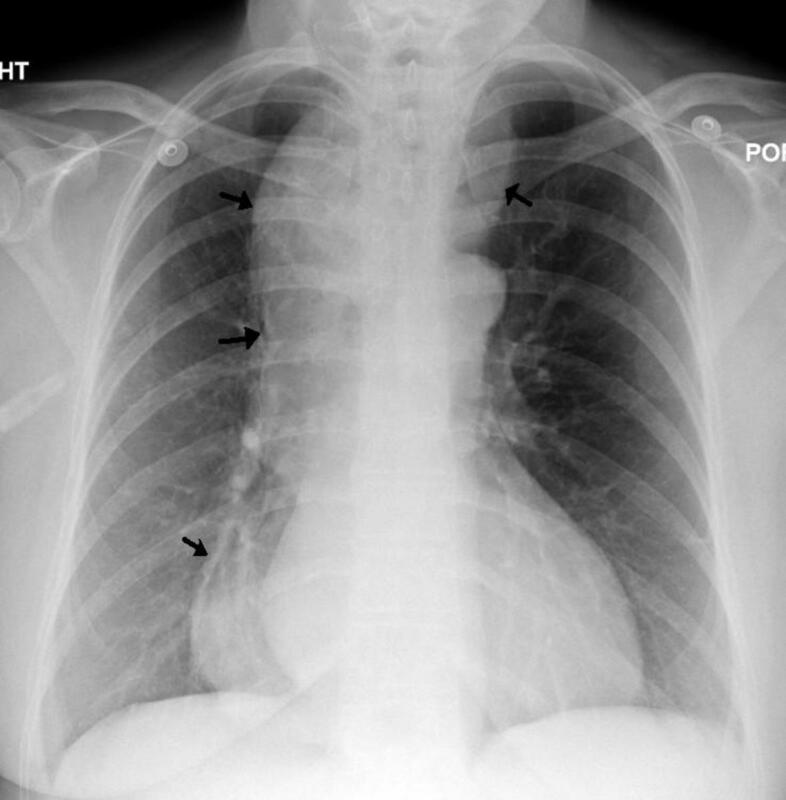 What exactly is achalasia, and how does one deal with this esophageal motility disorder. 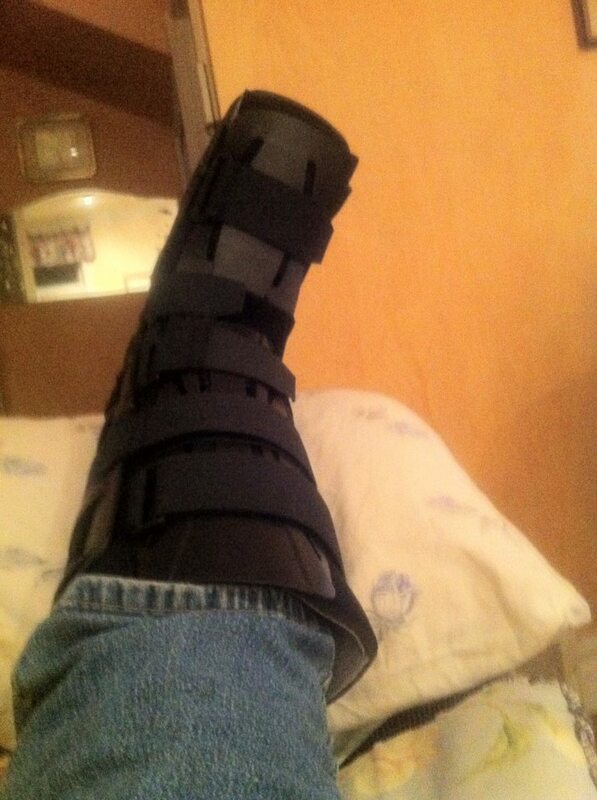 Find out all the tests and procedures that may have to be done. 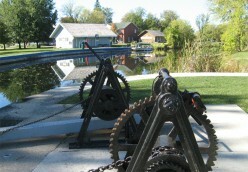 Quaint Victorian village on the Rideau Canal in Eastern Ontario. 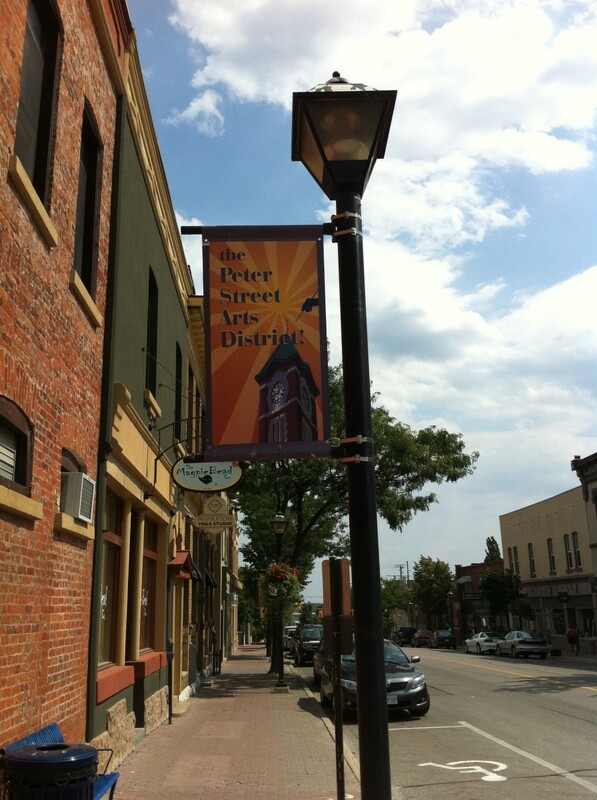 Shops galore that include pottery, jewelry, paintings from local artists, woodworking and more. Dating back to 1608 this city has so much history and beauty to offer everyone. Entertainment, nightlife, romantic atmosphere and more await you. Easy to follow recipe. Casserole with left over roast pork, potatoes, onion, gravy and corn. 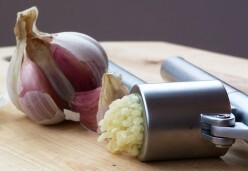 Eating garlic or foods with garlic is very beneficial to your health and well being. Not only does it lower your blood pressure but it also improves your circulation and has many vitamins. How many eggs are good for you to eat every day? 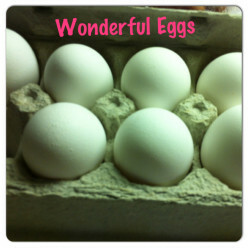 There are so many nutrients in the content of one egg. Not so bad for you after all. 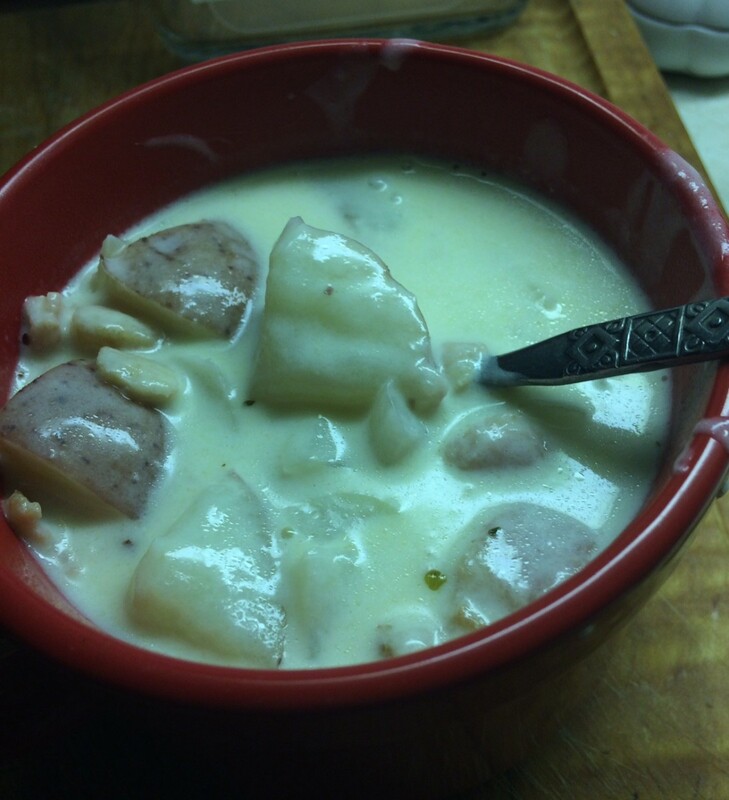 Recipe for potato bacon soup that is just like Tim Hortons or even better. Easy and fast to make. 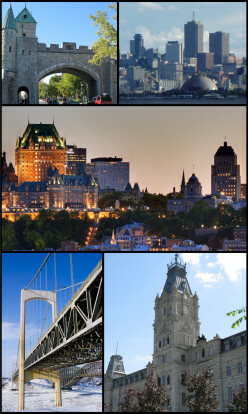 Winter in Quebec City is spectacular, romantic with many sights to see. Skiing and snowboarding is close by at Mount Sainte Anne. 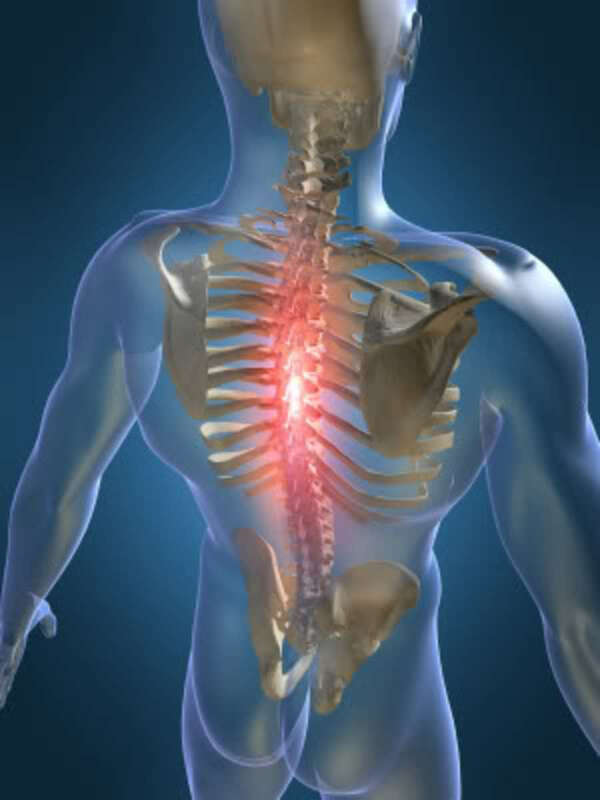 Back pain is debilitating. 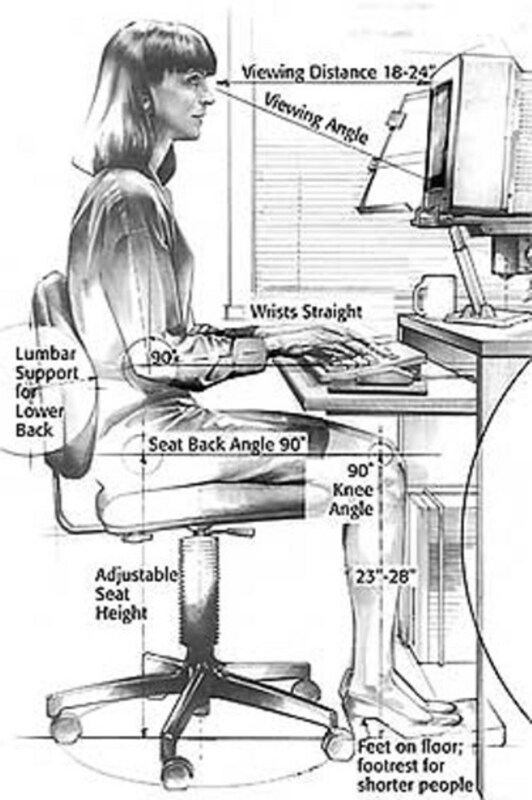 Choose a chair with proper support and sit in comfort while giving your back what it needs. 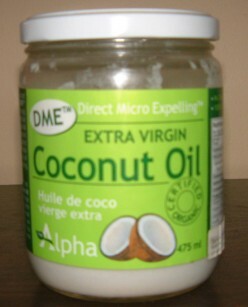 Healthier for cooking, gives you energy, increases metabolism, balances blood sugar and more. 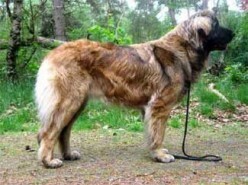 Dog breed that dates back to the middle 1800's from Germany. Large breed, gentle, highly intelligent, working dog or family pet. Cranberries are not only for relish with turkey dinner. 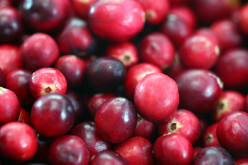 Cranberries are full of vitamins and have many health benefits. Christy My Sister is a tribute to my sister in law Christy Zutautas. If it were not for her encouragement I would probably not be writing today. 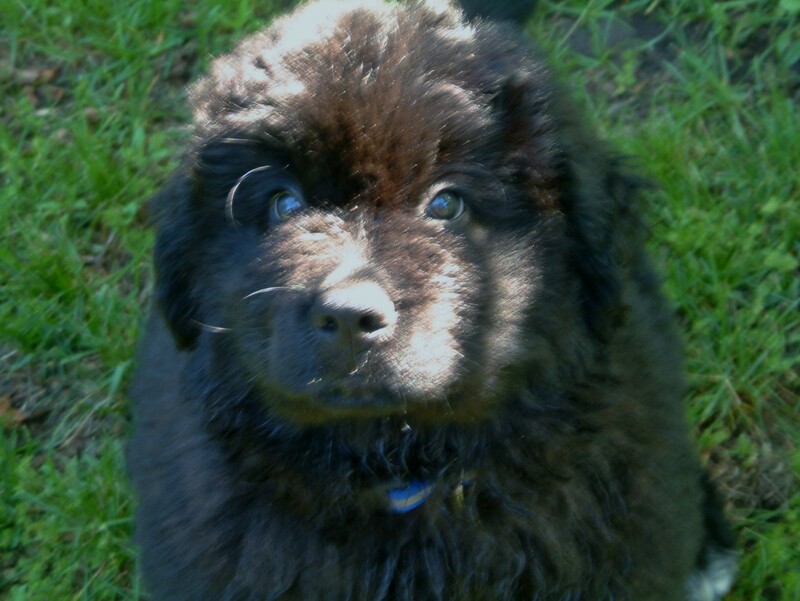 The Newfoundland Dog Breed. 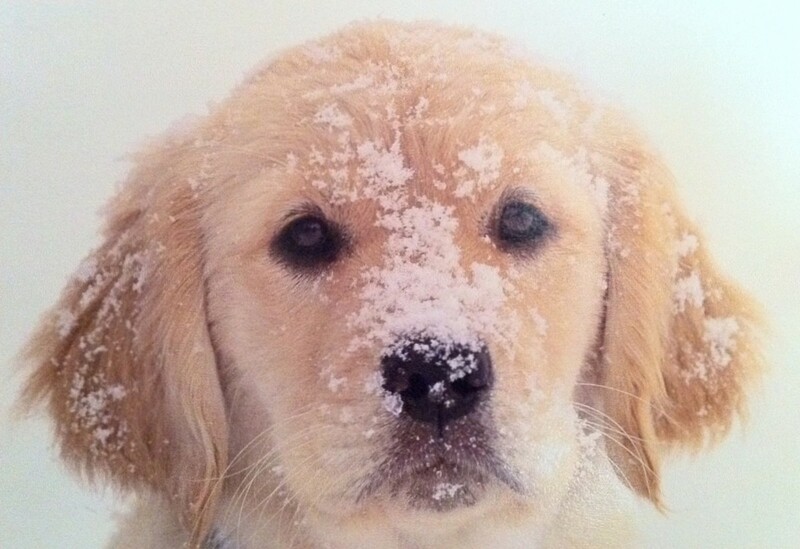 Everything you want to know about this dog and more. 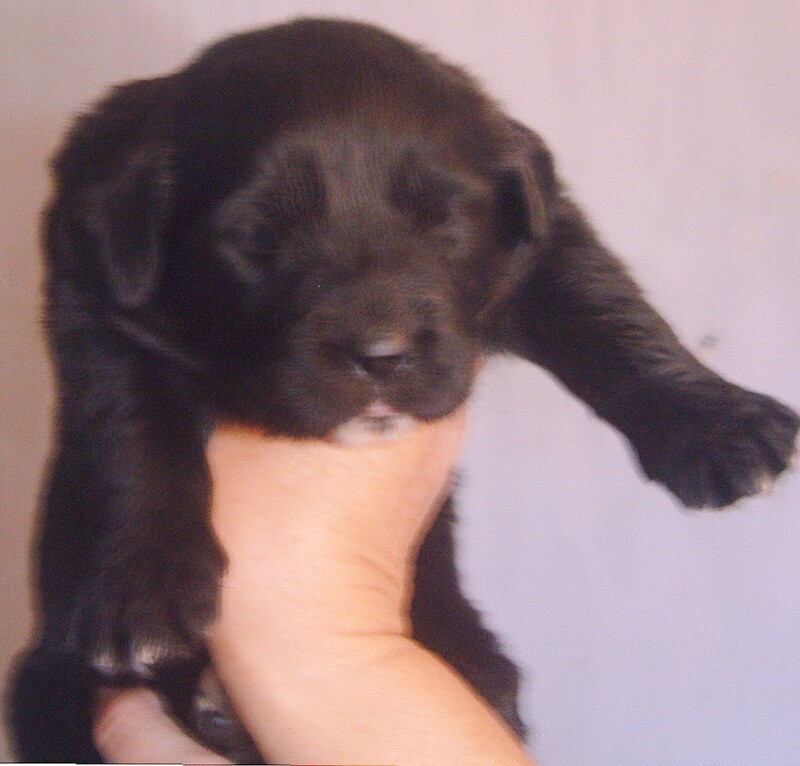 Health issues, background of where they may have originated, size of both male and female, temperament, and grooming tips. Recipe for pork chops baked in the oven with cream of mushroom soup and potatoes. Very easy recipe to follow. Recycling in Canada started in the 1980's. Glass, plastic, Styrofoam, cardboard, books, paper, paint and oil containers are all recycled. 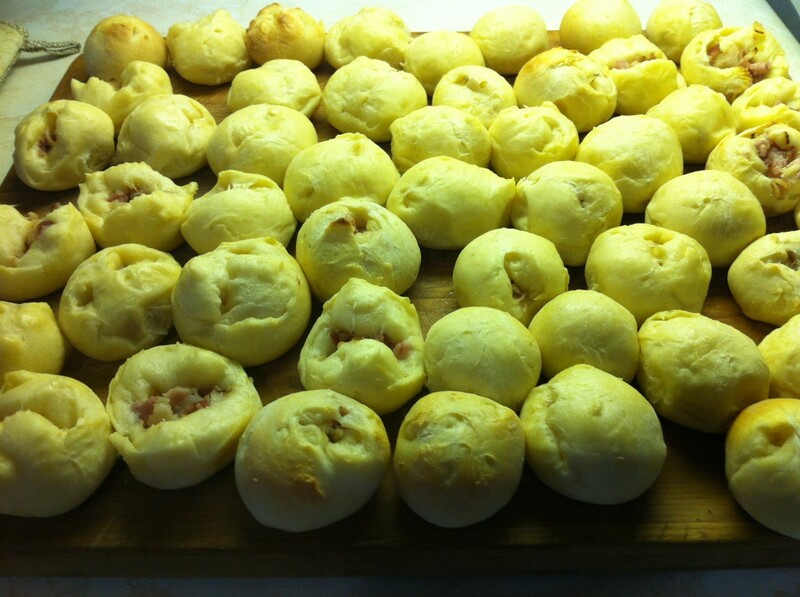 Traditional Lithuanian bacon buns recipe with easy-to-follow instructions. 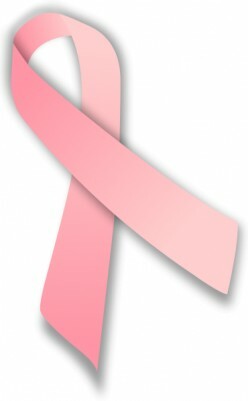 Part 2 of 2 Breast Cancer My story. From a 20 year survivor. 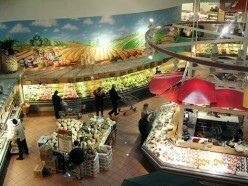 In these tough economic times and the increasing food cost it is difficult to save any money. In this article I have listed ways on how to cut back on some of your grocery costs shopping frugally. Three fantastic shortbread recipes. The first one is my favorite and is my grandmother's recipe from Scotland. 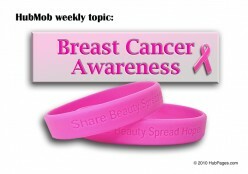 Breast Cancer a 2 part true story of how I survived breast cancer. Macaroni and Cheese an old time favorite. 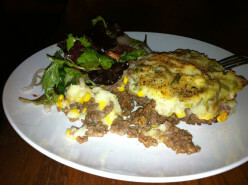 Here is a new way to make this comfort food with an easy to follow recipe. 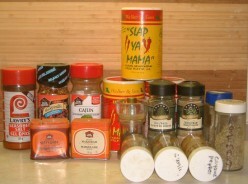 This is one of the best spice mixes if you like Cajun seasonings. Guaranteed to add the extra zip no matter what food you add it to. Start teaching your children at an early age about making and saving money with this easy to follow allowance chart. 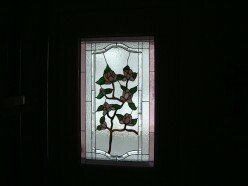 Stained glass beautifies your home. Tools needed to create your own piece of art with videos along with some pieces I have made.